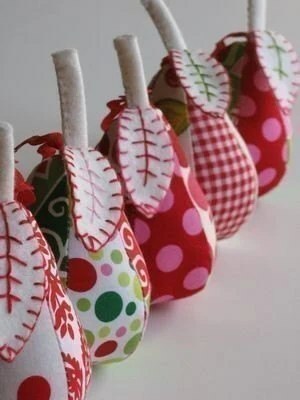 here are some suggestions for the crafty peeps around you that can’t get enough of making things! 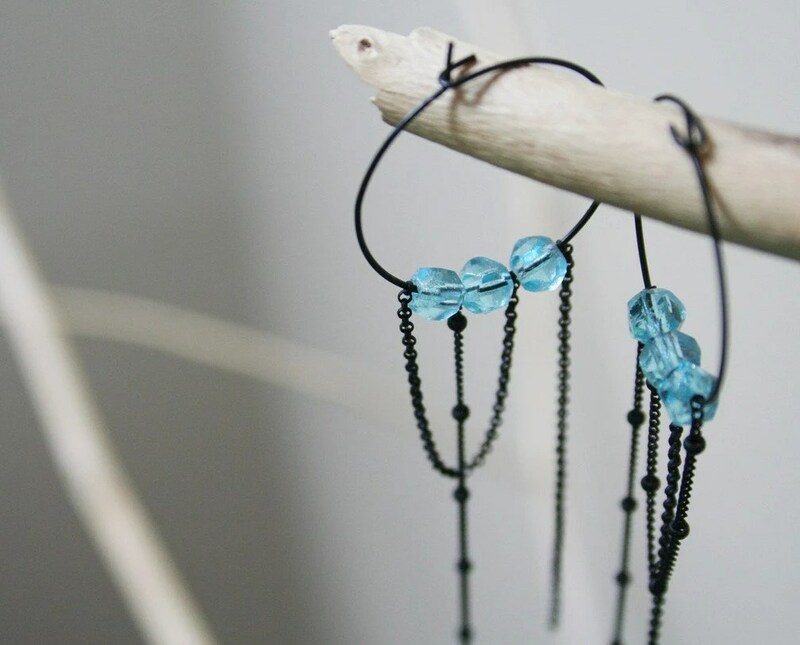 Check out more Gift Guides posts! 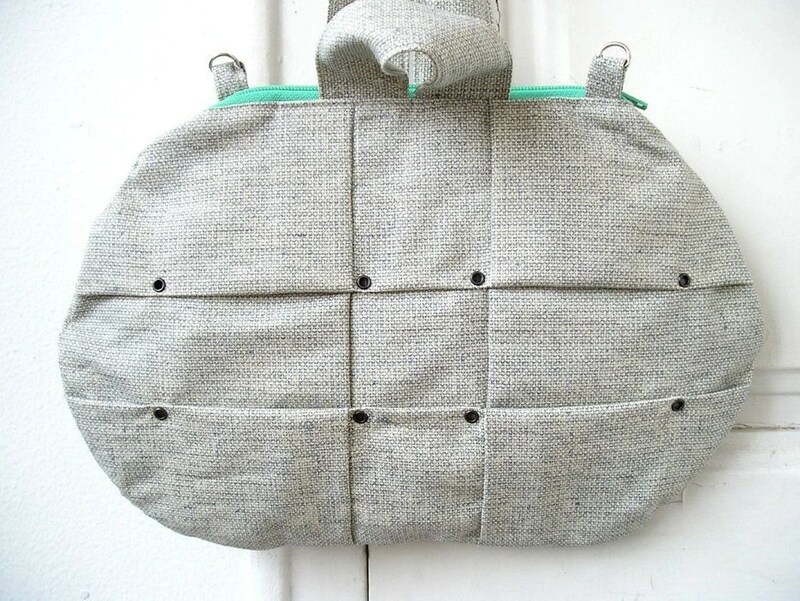 Bazan knitting pattern, by JaneRichmond. 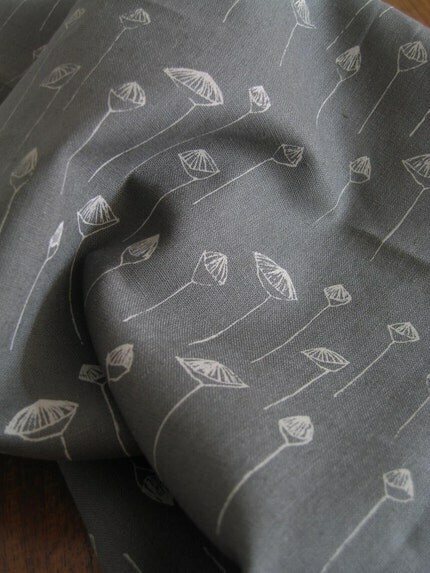 Dark grey poppies fat quarter, by Repeat. 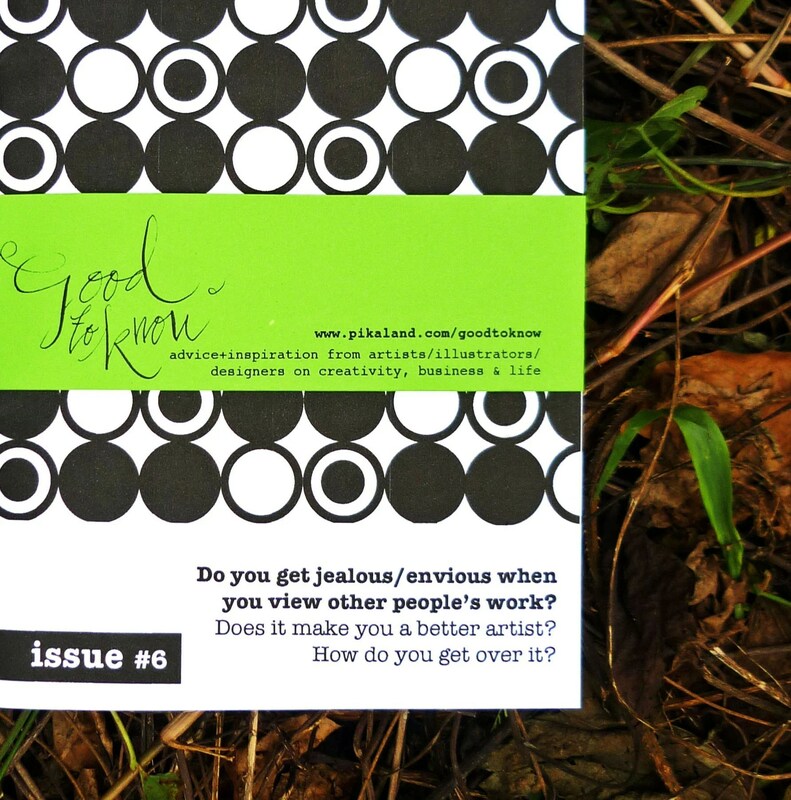 Good to Know magazine, 6 months subscription, by Pikaland. 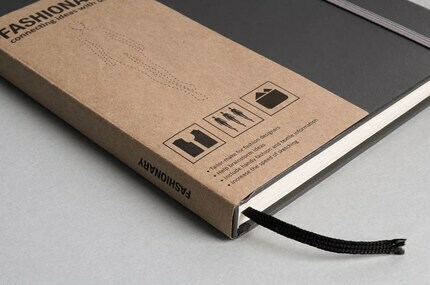 * Also available, PDF subscription. 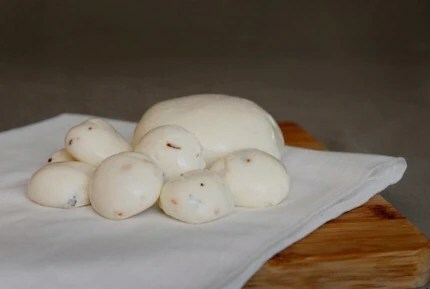 Mozzarella and ricotta DIY cheese kit, by UrbanCheesecraft. 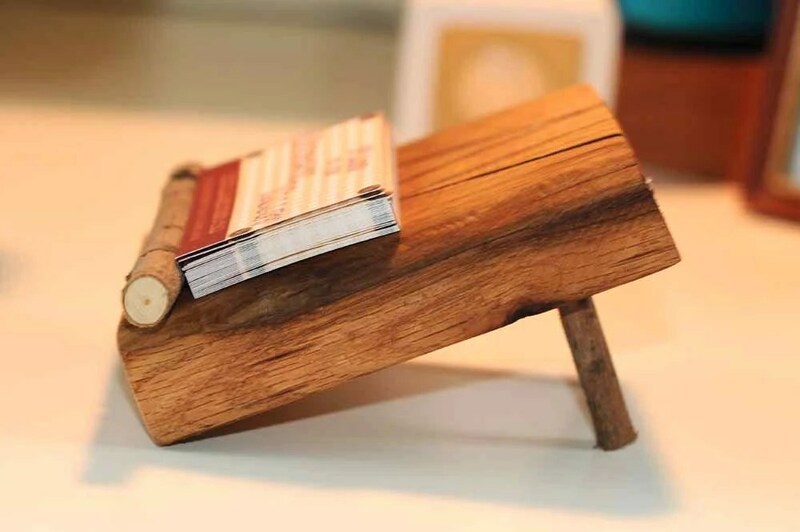 Reclaimed wood business card holder, by MadeInTheHV. 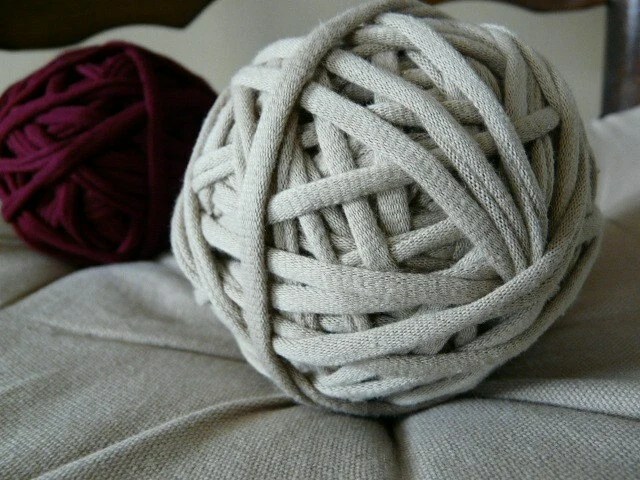 Recycled t-shirt yarn, by EclecticNotions. 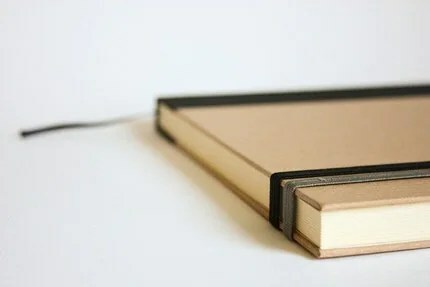 Faux bois notebook, by OhSoGood. 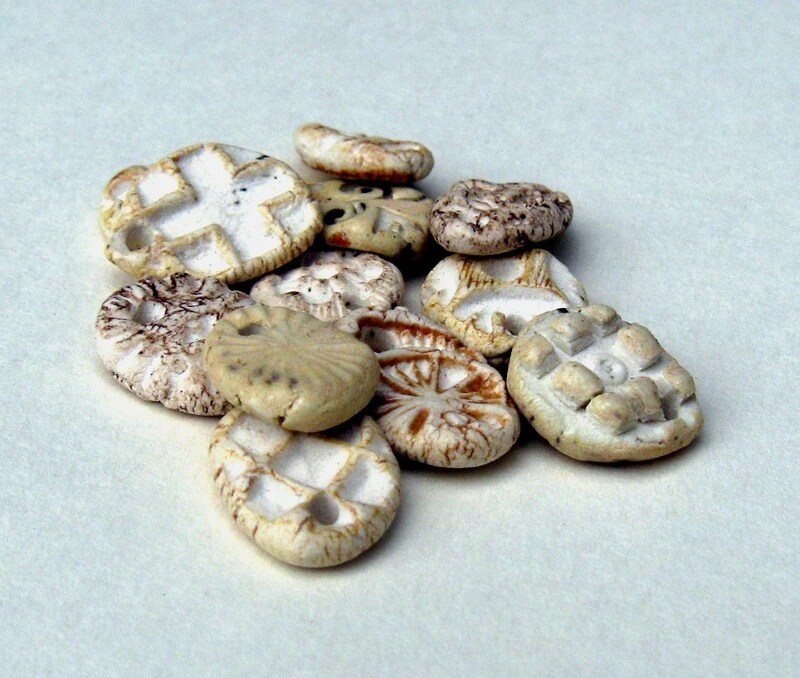 Rustic stoneware beads, by MidnightCoiler. 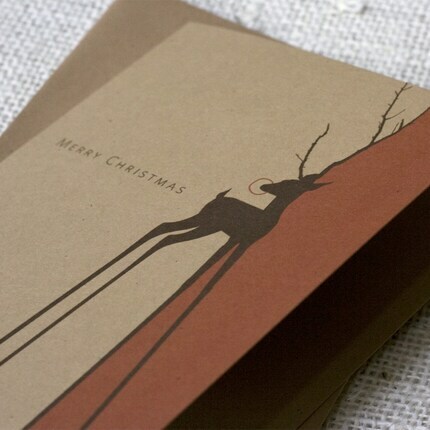 Sheet of brown handmade recycled paper, by WhiteDragonPaper. 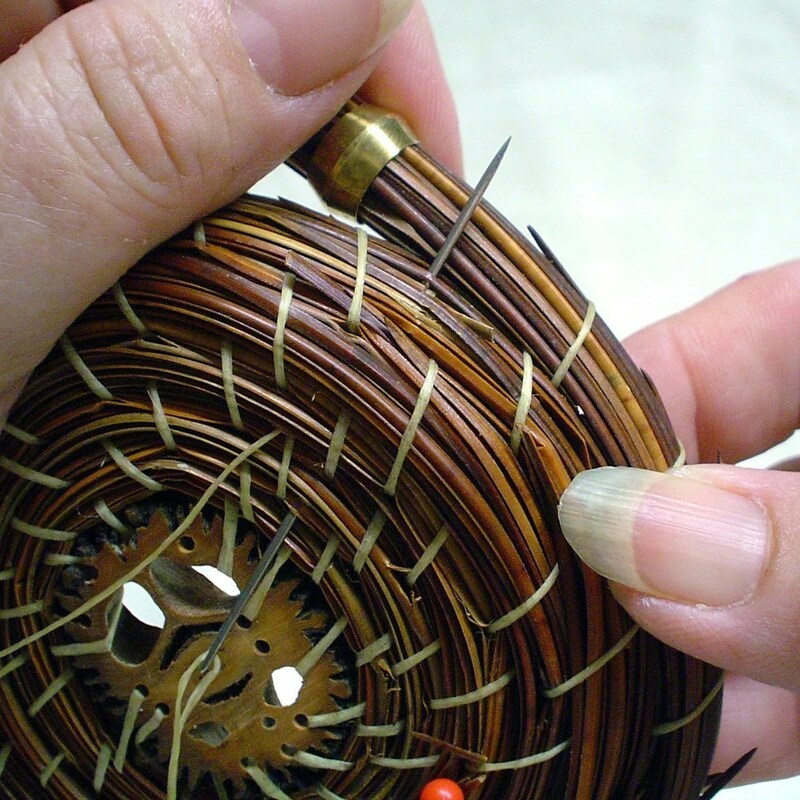 Pine needles & walnut DIY basket kit, by PineGardenBaskets. 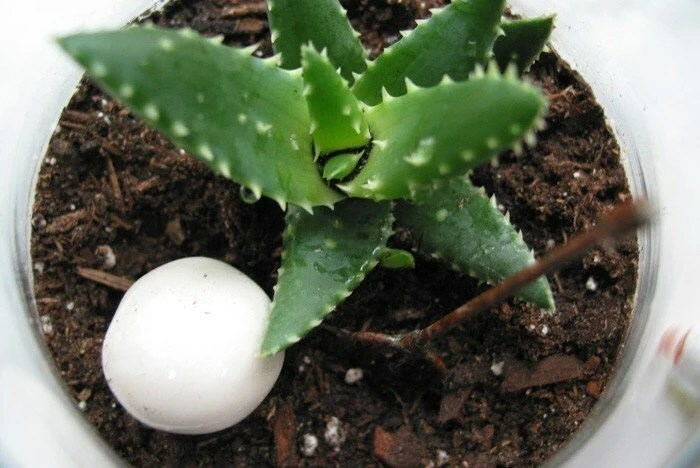 DIY small terrarium kit, by MudPuppy. 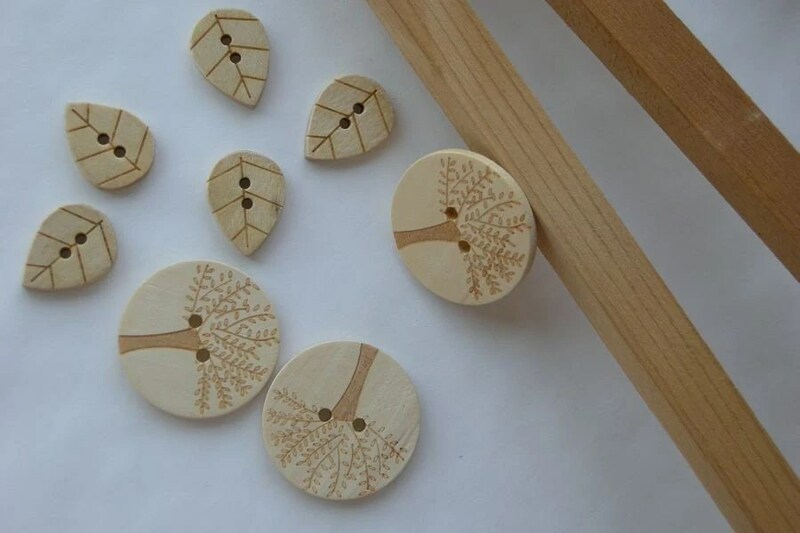 Japanese tree and leaf button set, sold by FelicitySiu. 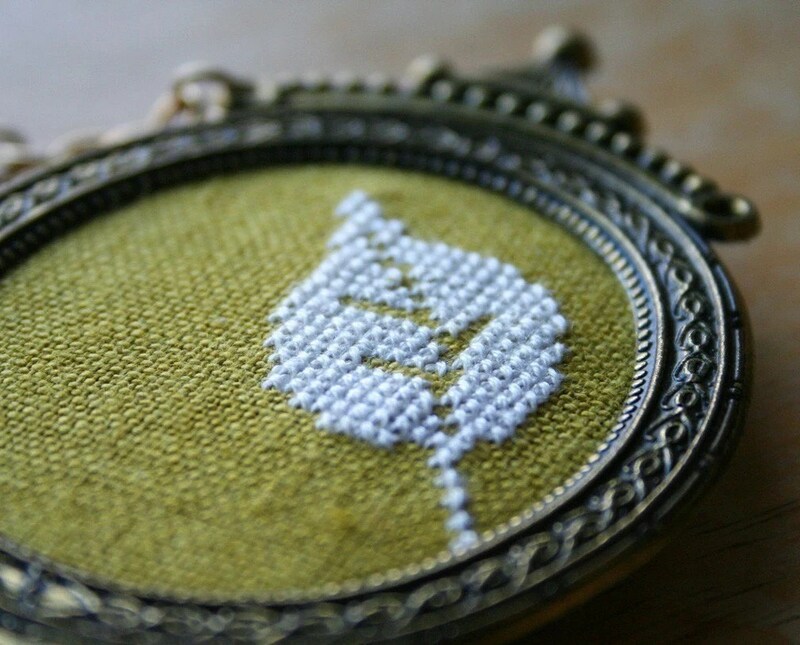 Pear pincushion PDF sewing pattern, by RetroMama. 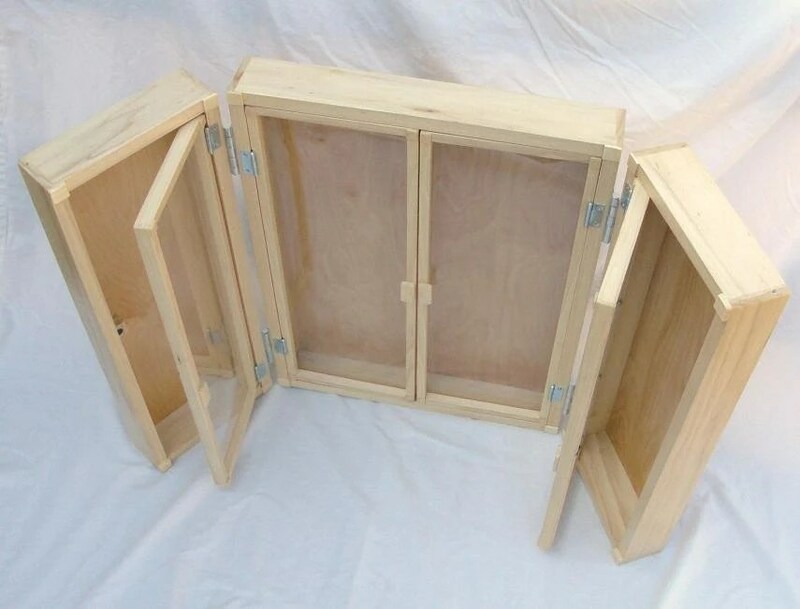 TriFolding Display Case, by ArtisanWoodcrafting. 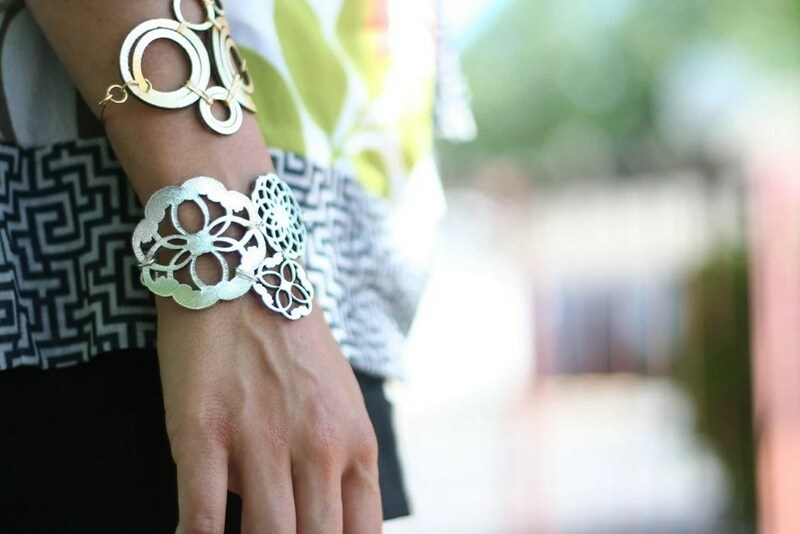 here are some suggestions for the wonderful ladies in your life! 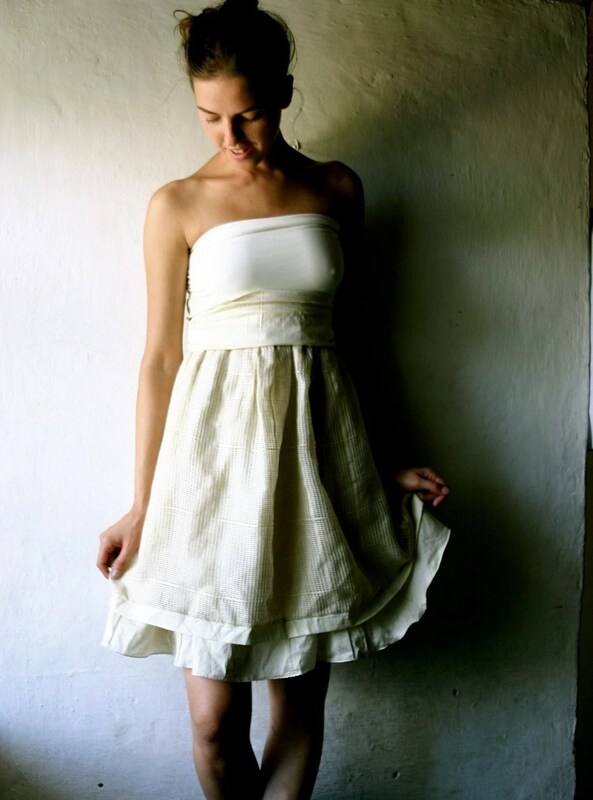 Dizziw golden swirly hues headband, by JenniferBirge. 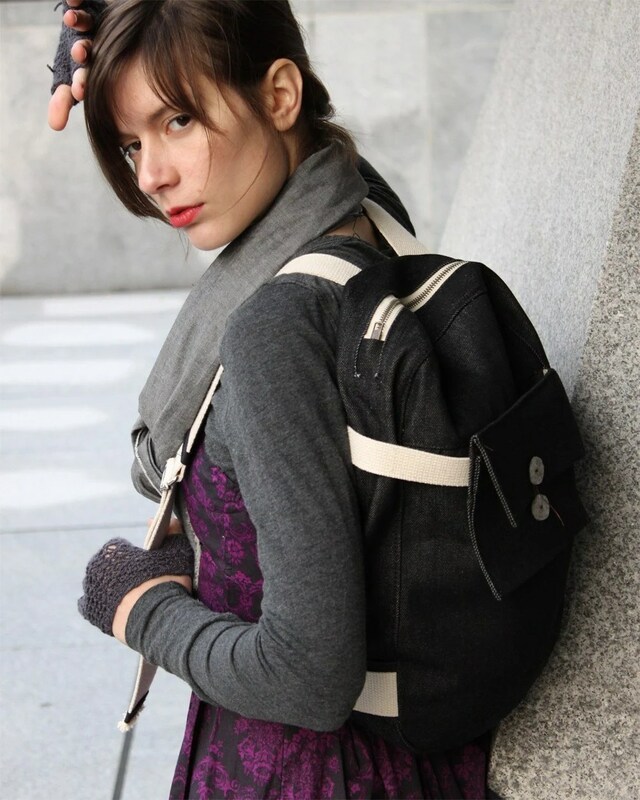 Black backpack, by Layer X Layer. 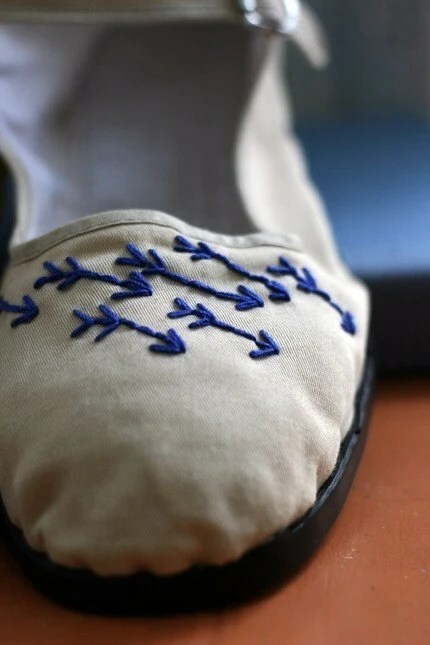 Embroidered maryjane flats, by StopsAndStarts. 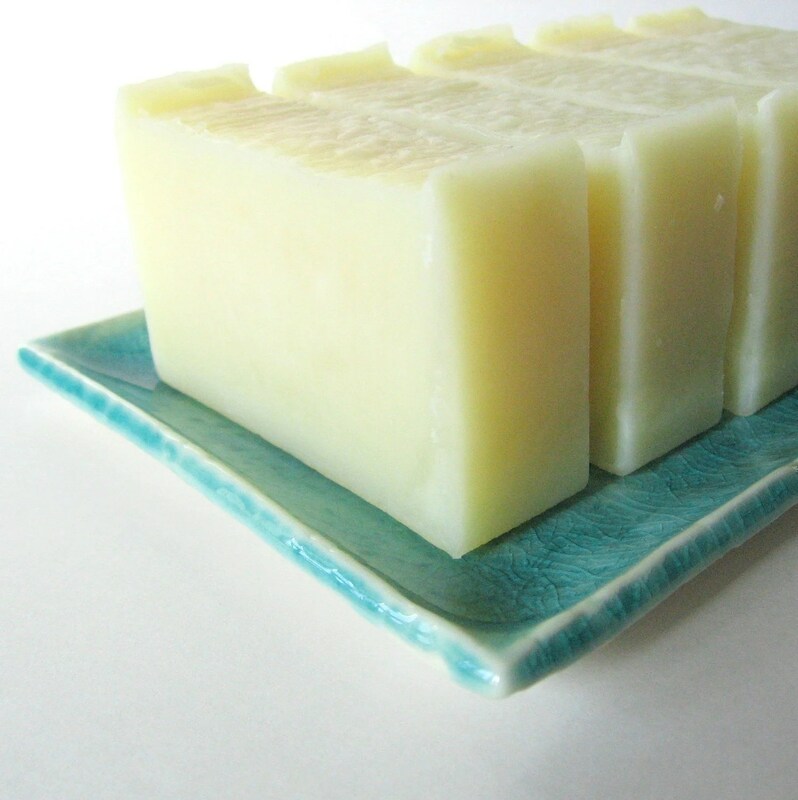 Mild and moisturizing facial soap, by DressGreen. 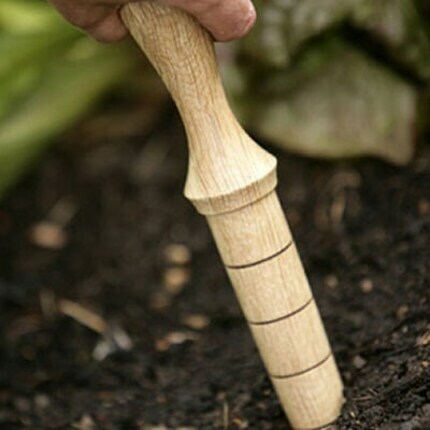 Gardeners oak dibber, by FuturePrimGarden. 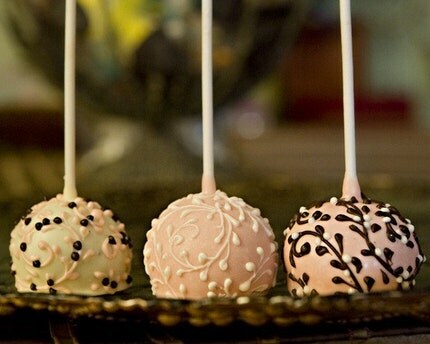 Fern gourmet brownie pops, by ThecCatsMeowFavors. 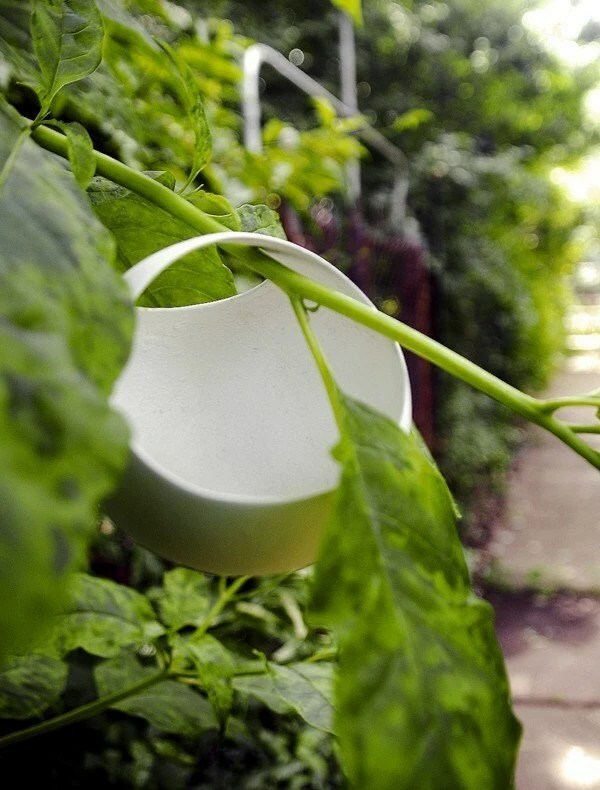 Mia Capsula bad, by Emma Pardos. 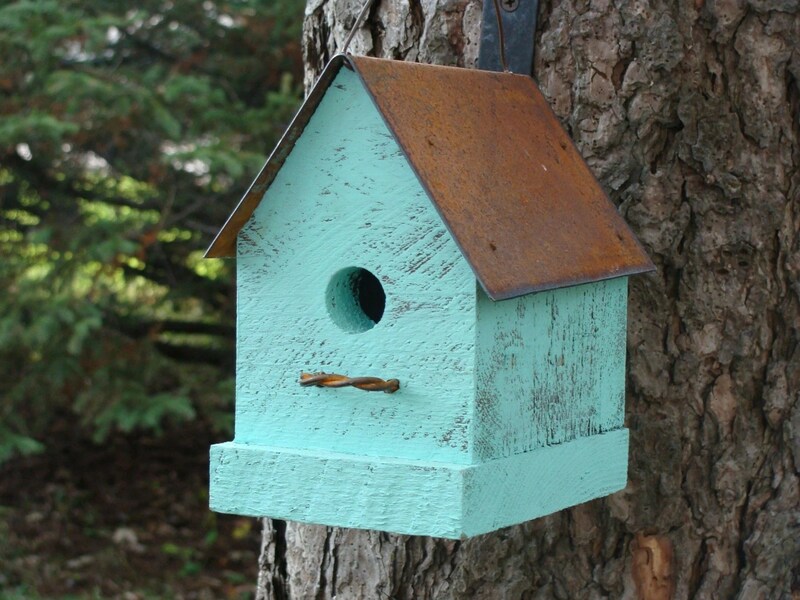 Rustic aqua birdhouse, by BaconSquareFarm. 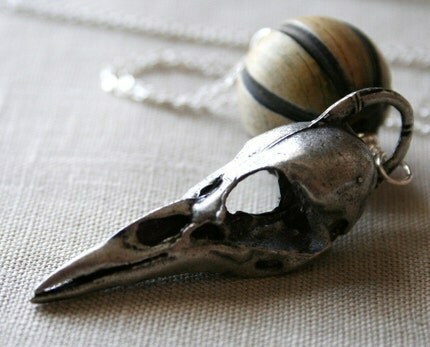 Corvidae Necklace, by Nea (me!). 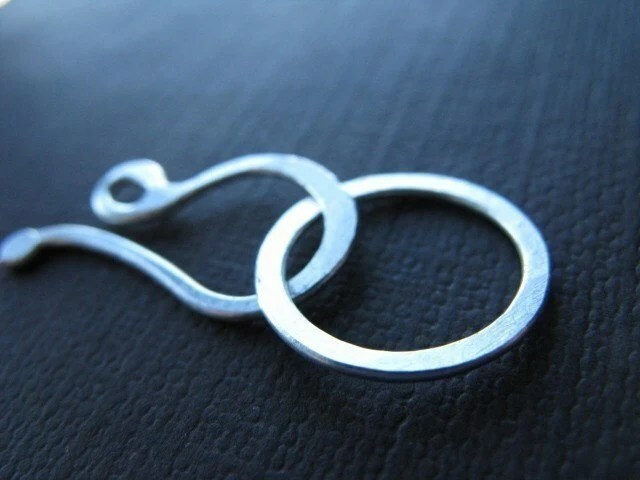 here are some suggestions for your man, your dad, and all the men in your life! 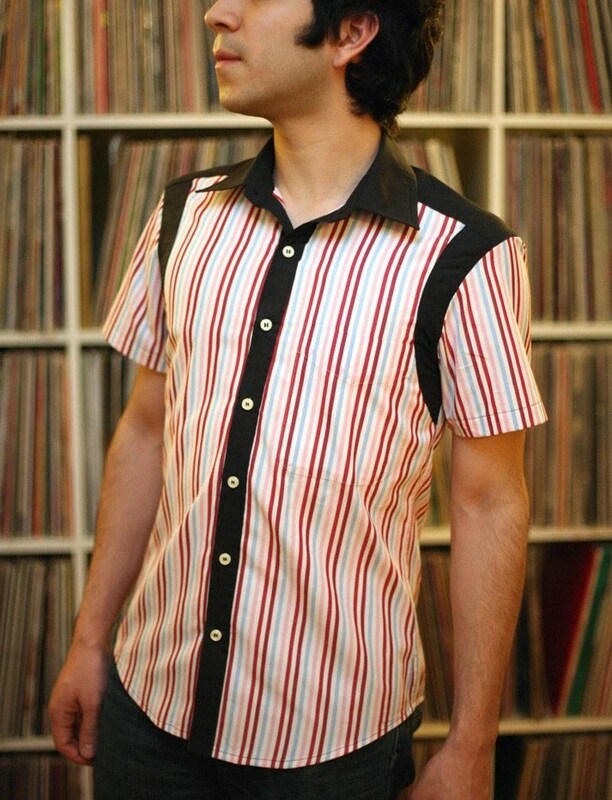 Men’s 50’s bowling style shirt, by LesAndOscar. Big red double barrel, by RuffeoHeartsLilSnotty. 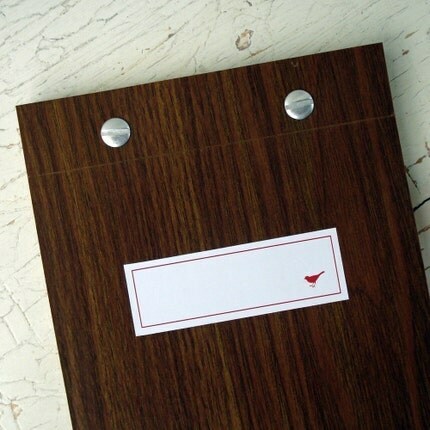 Wood business card case, by Masakage Tanno. 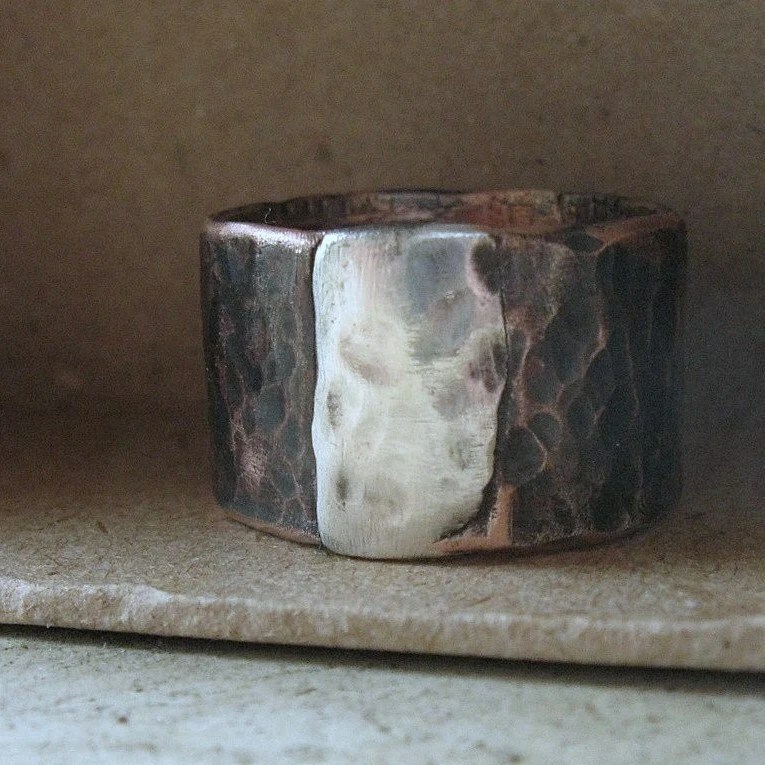 Archaic copper and silver band, by Tinahdee. 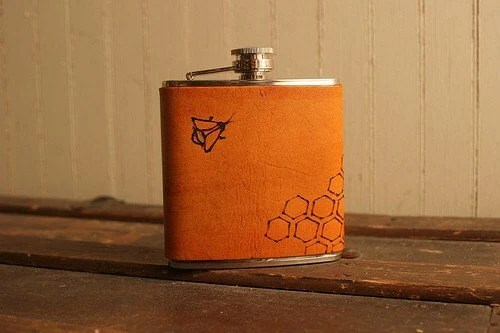 Leather sweet home flask, by MoxieAndOliver. 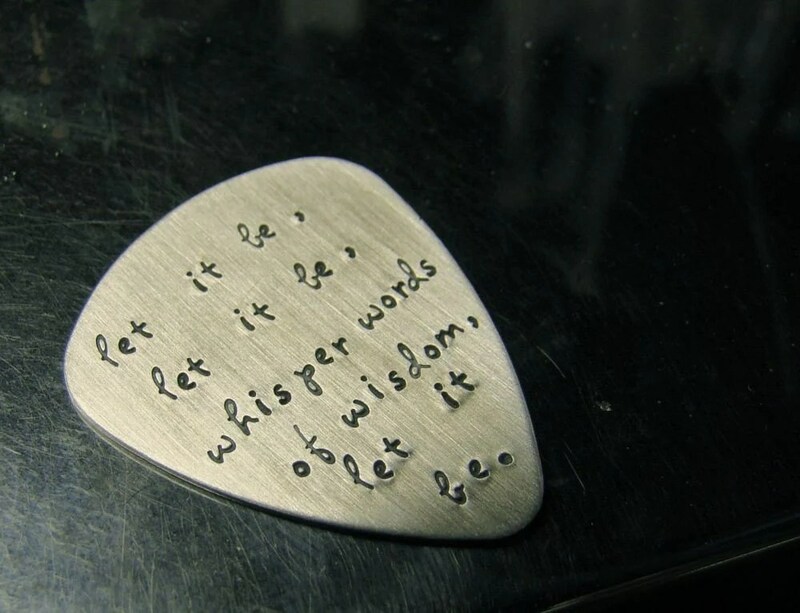 Sterling guitar pick, by PanicMama. 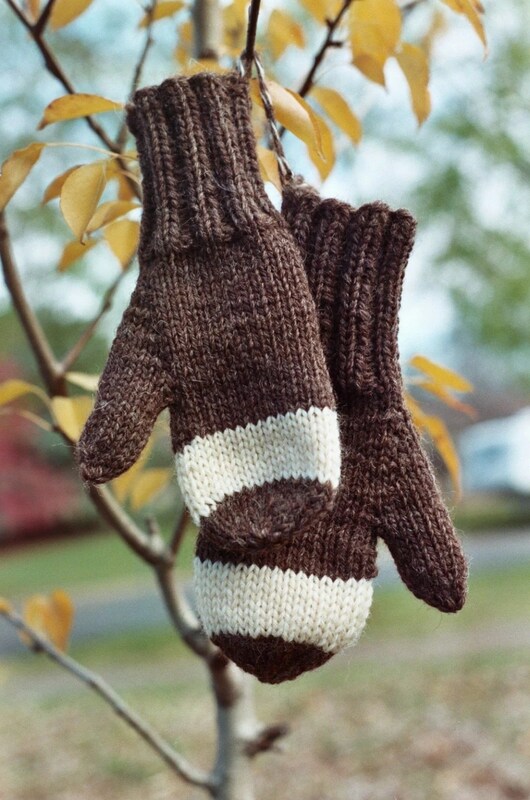 Acorn mittens (custom size), by TheSittingTree. 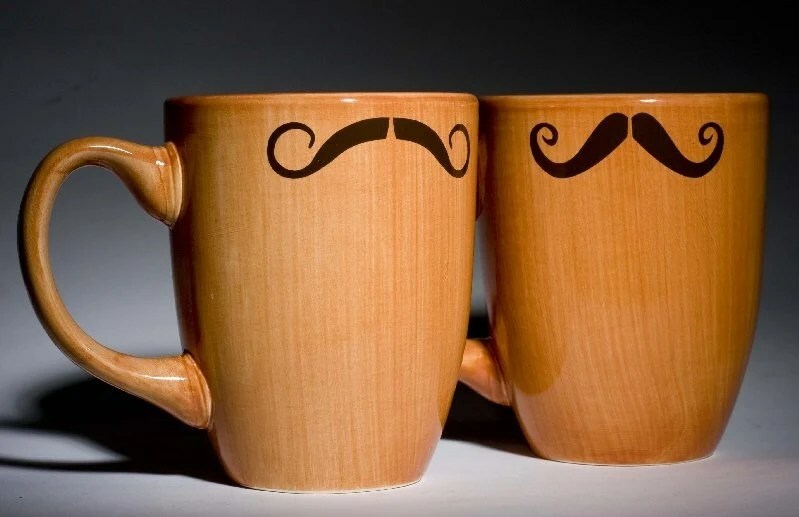 Mustaches mug set, by Kimay. 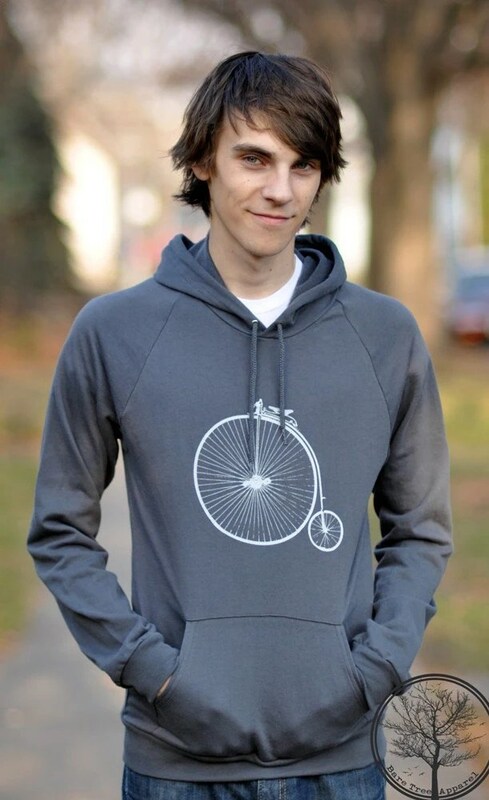 Old school bike hoodie, by BareTree. 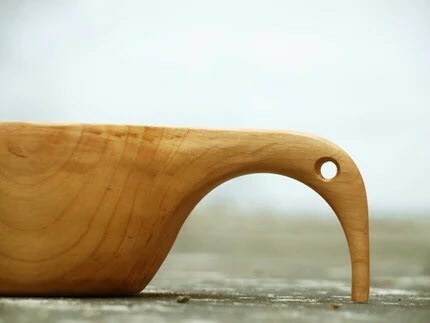 Wooden birdhead cup, by NatureDesign. 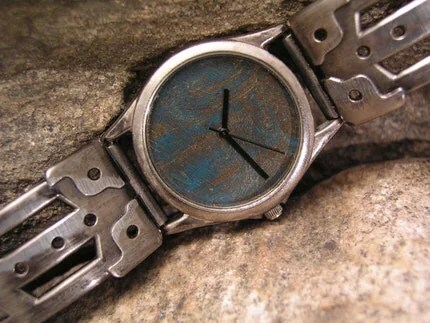 Blue face copper dial watch, by KapaDesigns. 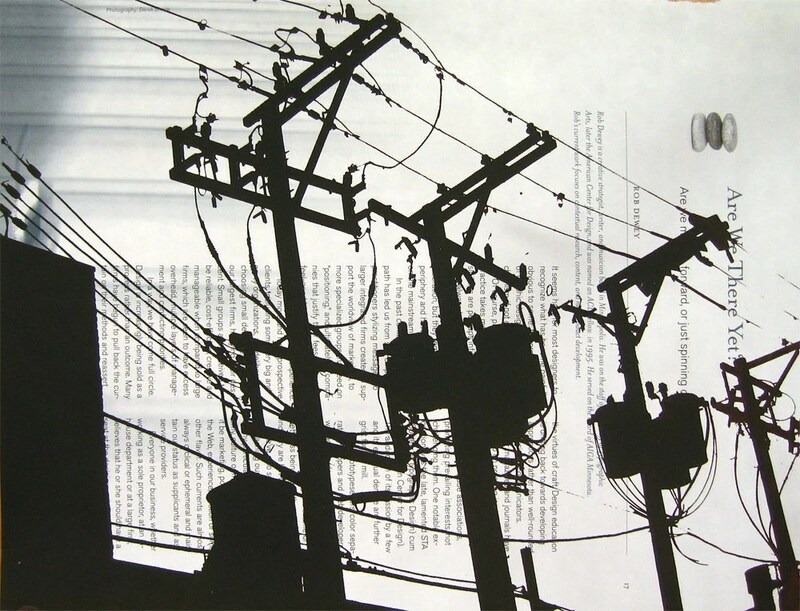 Urban Mystery 11 screenprinted art, by Fantazerova. 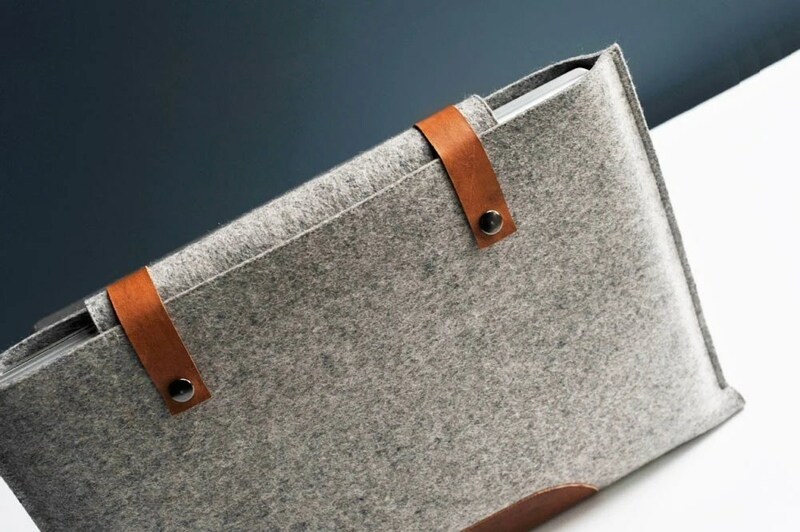 Grey wool felt laptop sleeve, by ByrdAndBelle. 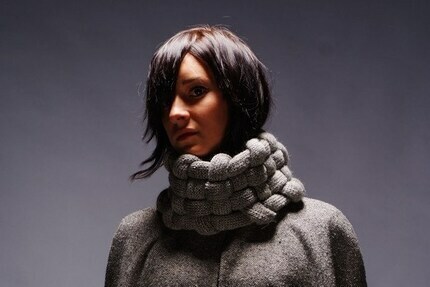 Trompe l’what collared shirt, by RusselTMiller. 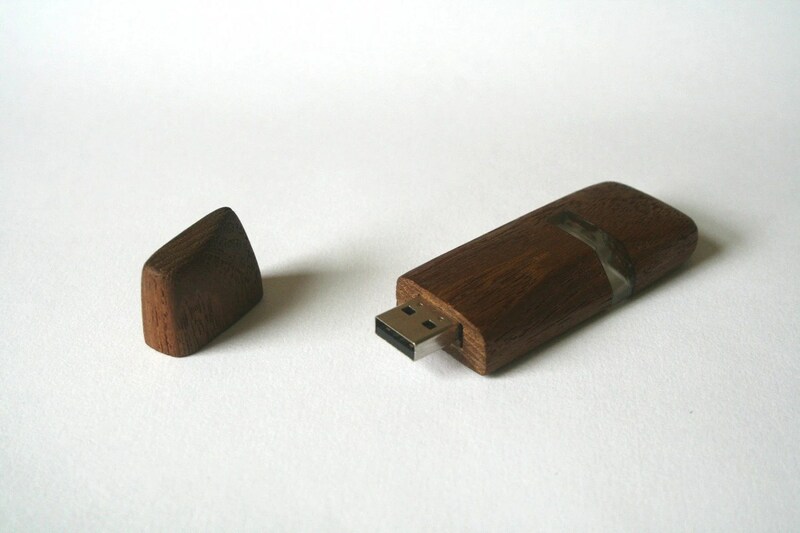 USB flash drive stick with reclaimed teak, by TuavusDesign. 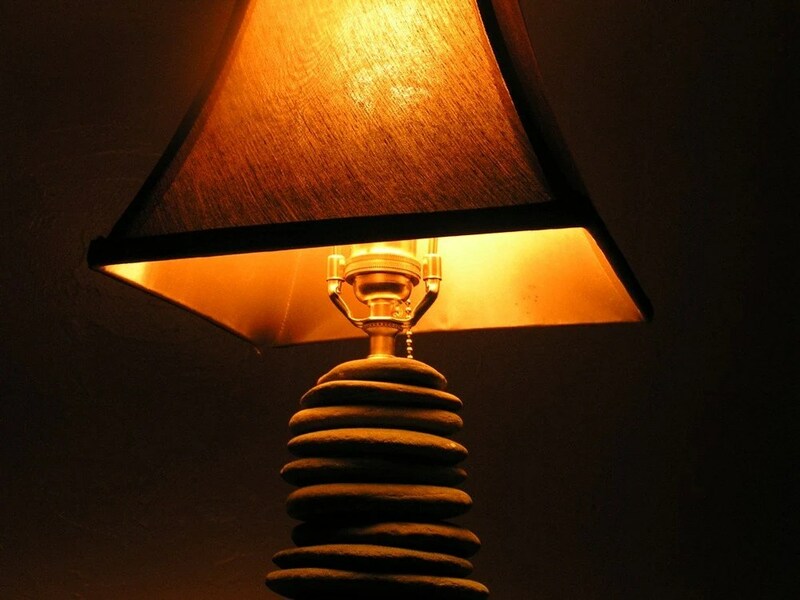 here are some suggestions for adorning every room of your home! 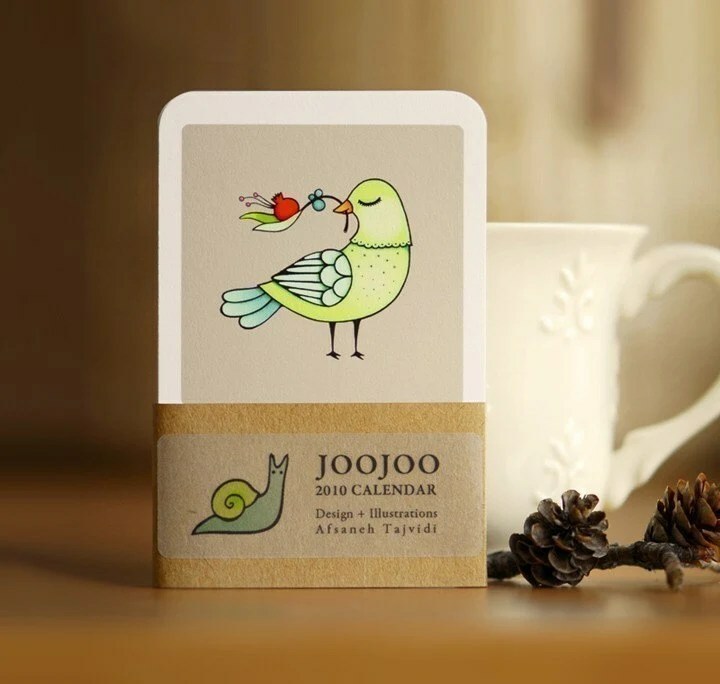 2010 giclee calendar, by Joojoo. 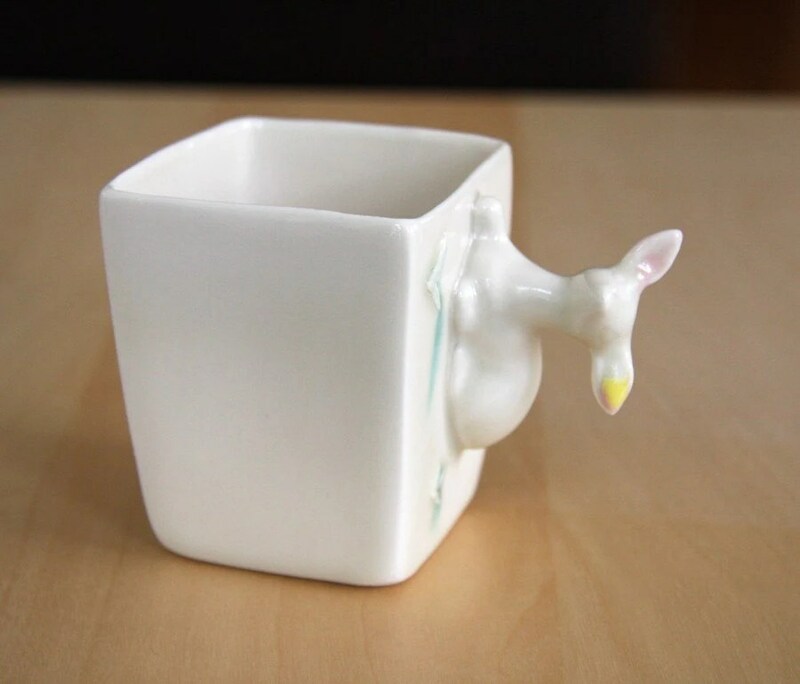 Porcelain Deer Cup, by Miekongo. 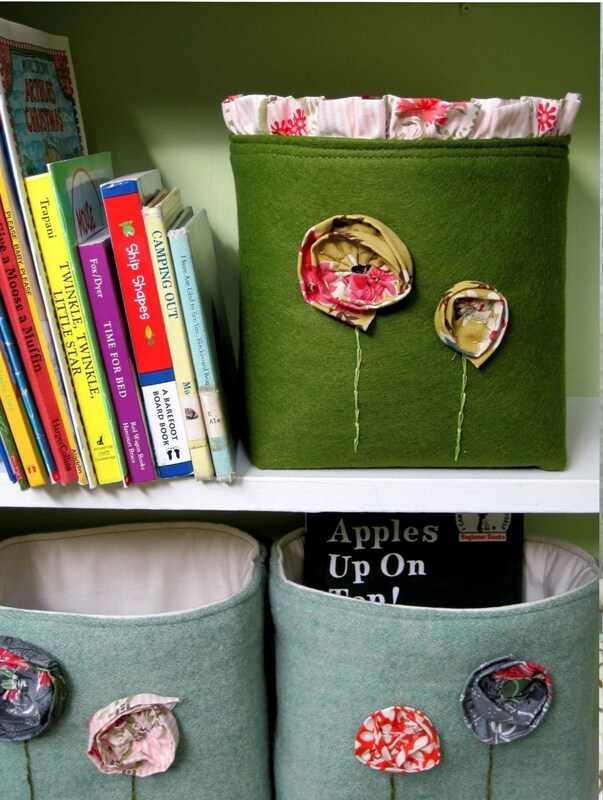 Olives and Blooms fabric storage, by SewingMomma. 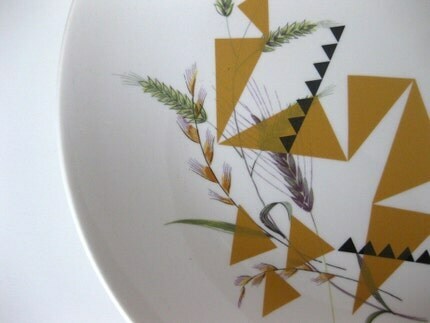 Revamped vintage plate, by ShopLePetitBoutique. 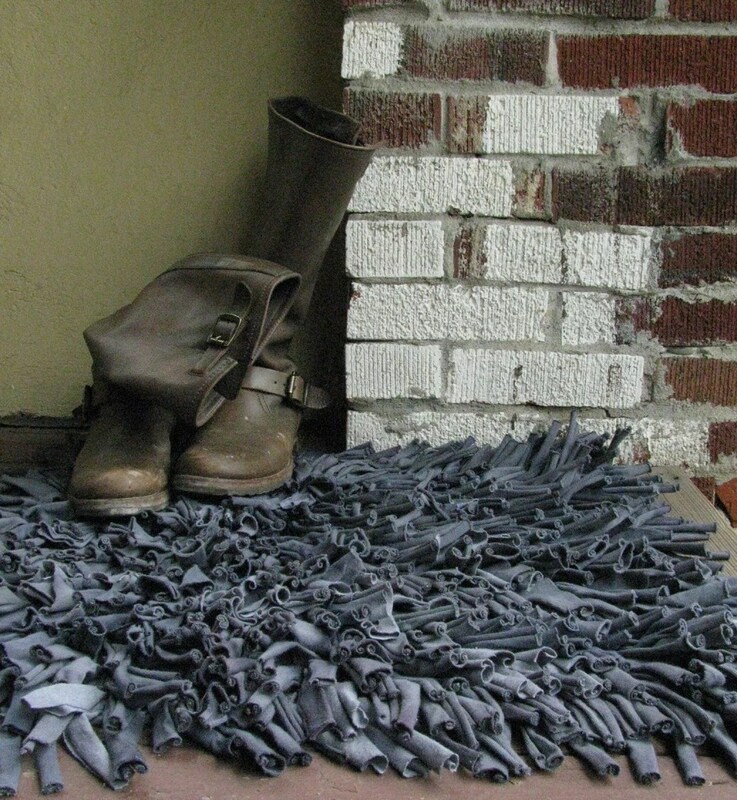 Recycled T-shirt Rug, by TalkingSquid. 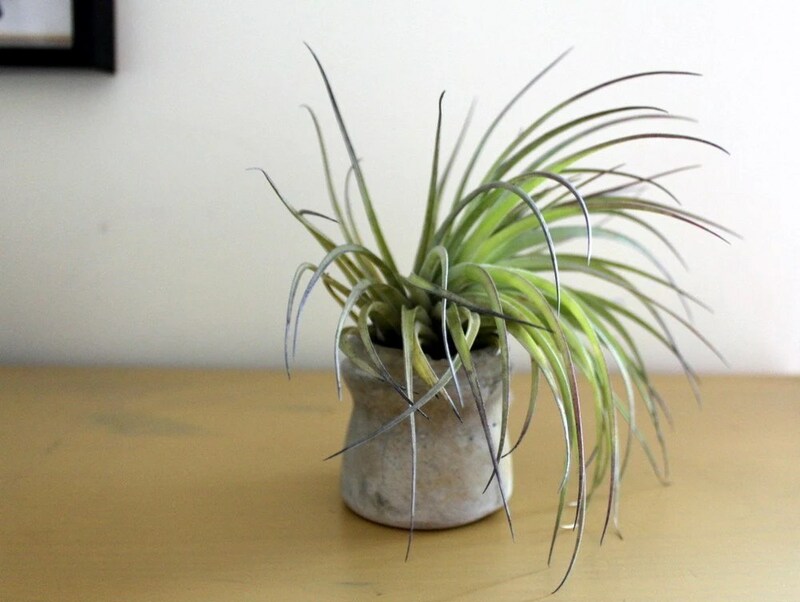 Concrete planter with air plant, by TortoiseLovesDonkey. 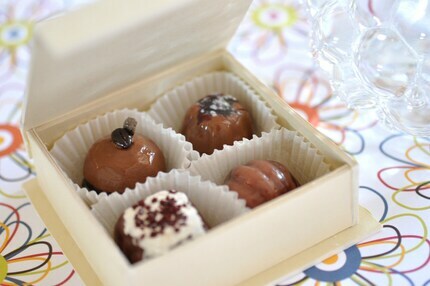 Yummy chocolate magnet set, by Jojo2238. 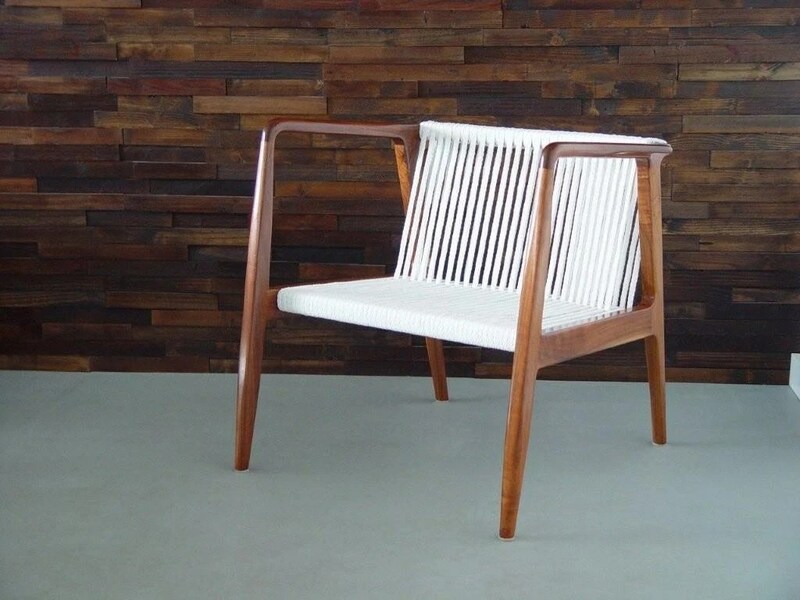 Thrublock wooden coat rack, by Wuda. 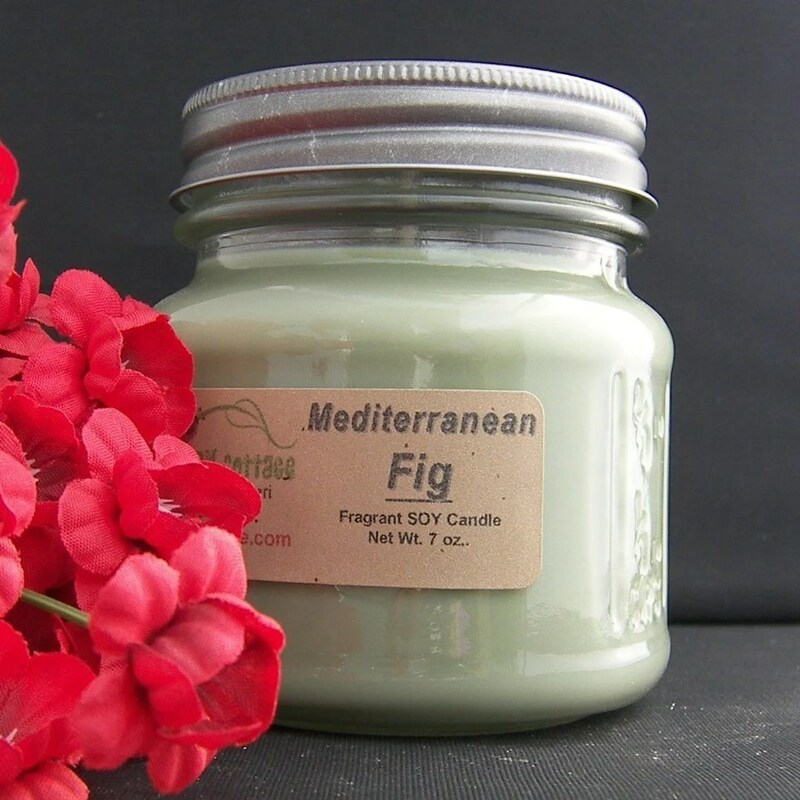 Mediterranean fig soy candle, by AJsCountryCottage. 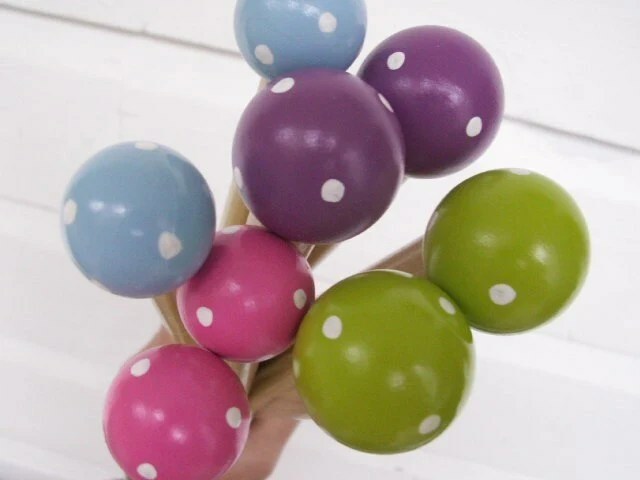 *AJ is my very own candle pusher! 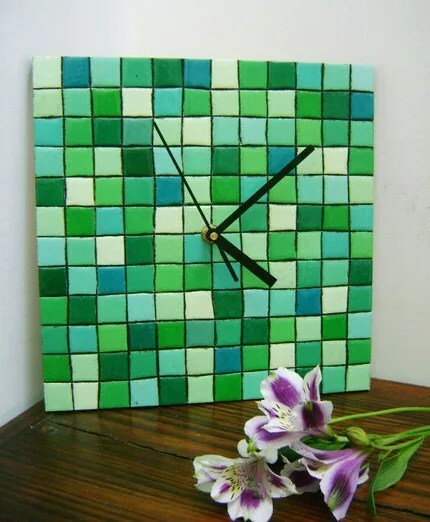 Totally addicted to her strong scents! 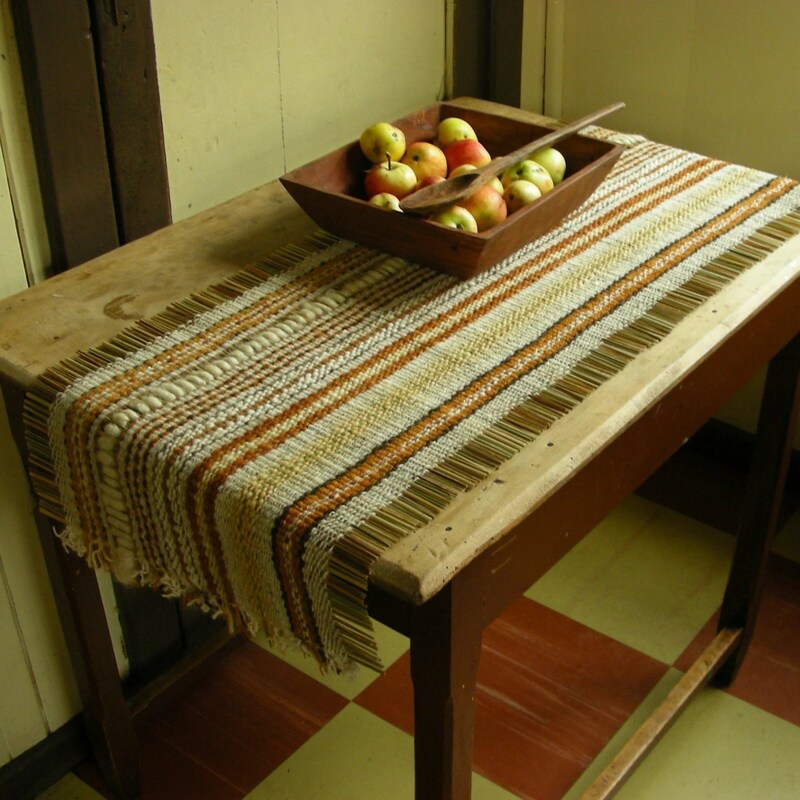 Handwoven table runner, by Kelgwo. 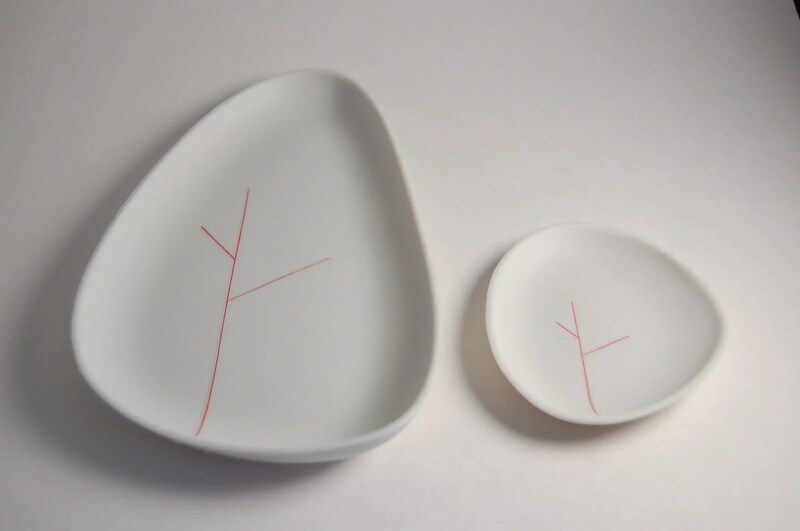 Red tree porcelain plates, by Yasha Butler. 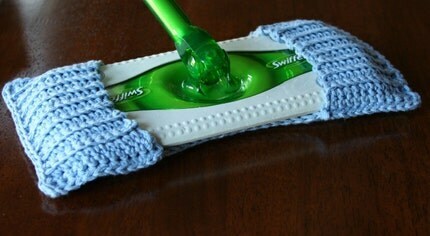 Crochetted cotton cover for Swiffer Duster, by OlliesBoutique. 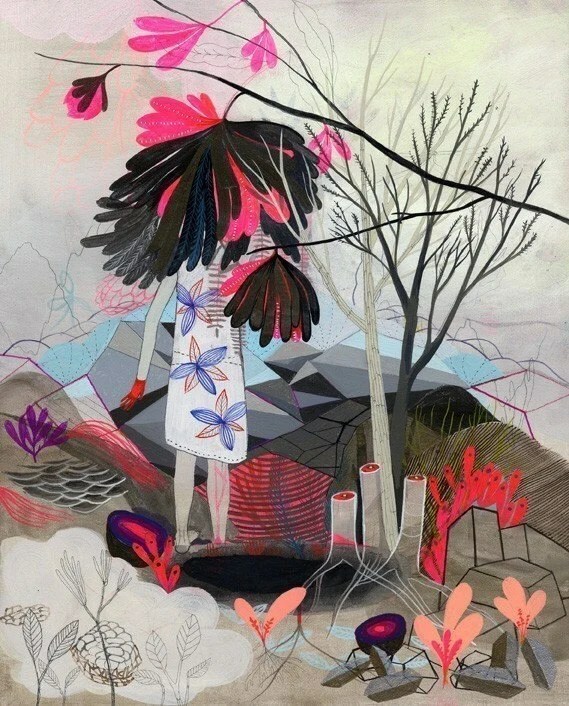 here are some suggestions of wonderful art for your really empty walls and shelves! 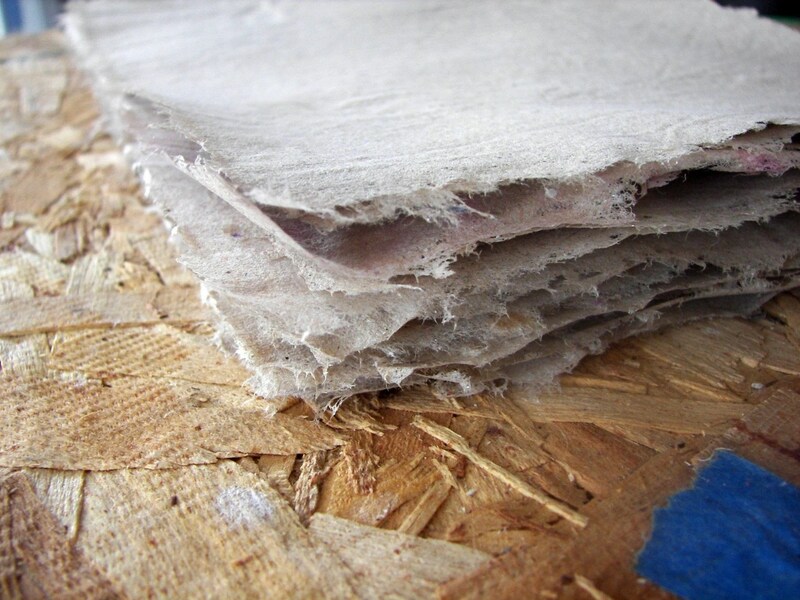 Atmosphere art print, by JKLdesign. 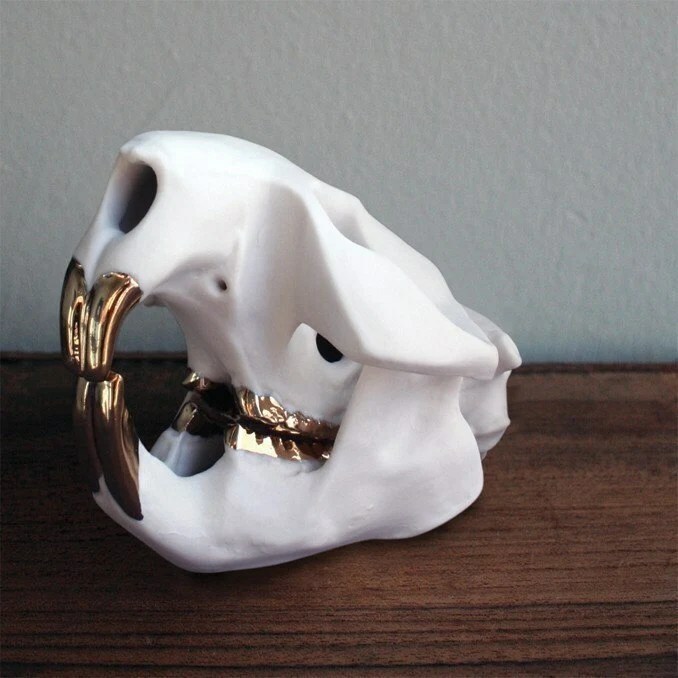 Porcelain Beaver Skull with 18k luster, by PorcelainSkulls. 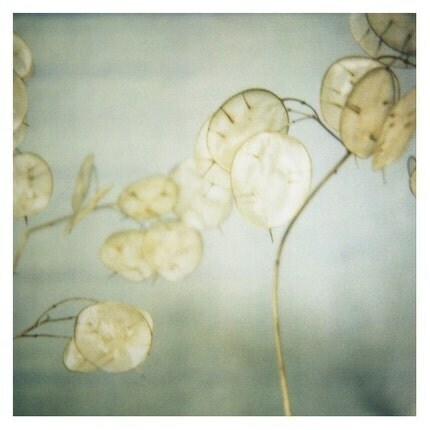 Lunaria Triptych signed fine art photograph, by AliciaBock. 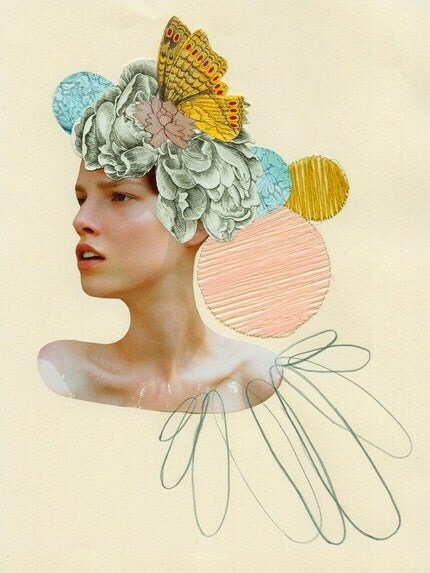 Butterfly and Roses print, by PeggyWolfDesign. 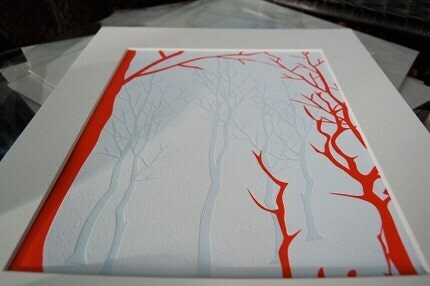 Winter Wonderland limited edition letterpress print, by 12fifteen. 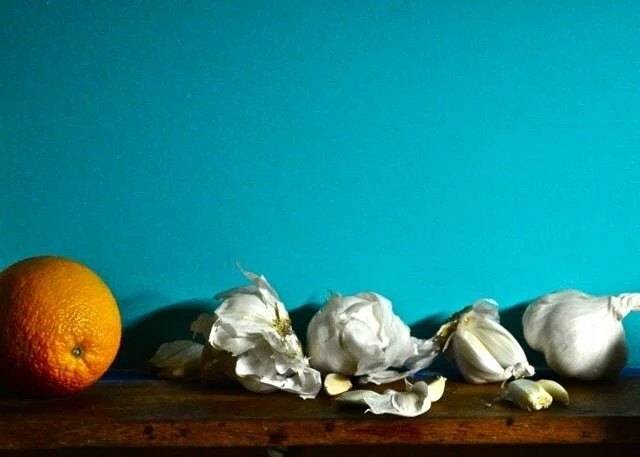 Kitchen Still Life, by TransparentEyeball. 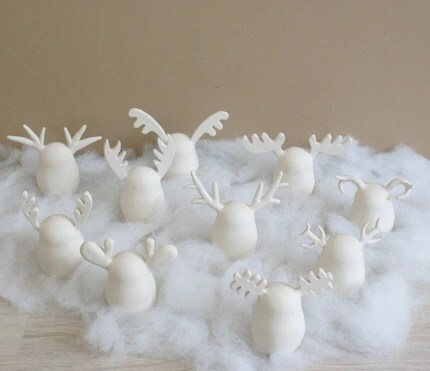 Oh Dear art sculptures, by ArtMind. 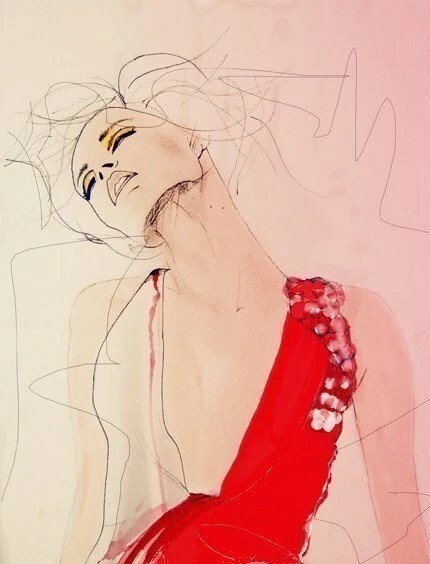 Stepping Off limited edition print, by BetsyWalton. 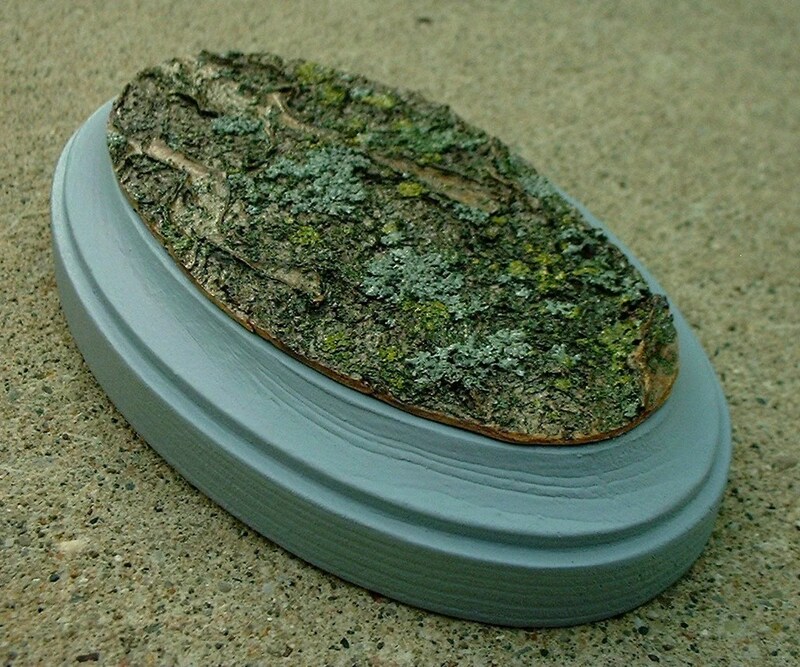 Urban lichen wall decor, by Bettula. 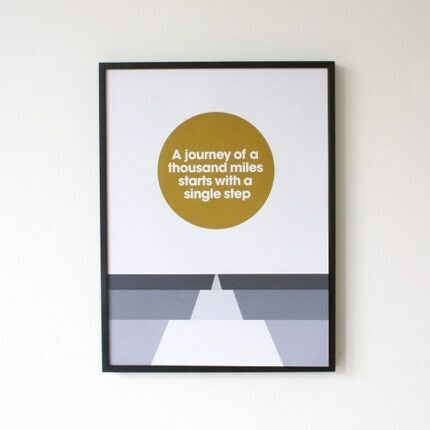 A Journey of a Thousand Miles print, by PocketStudio. 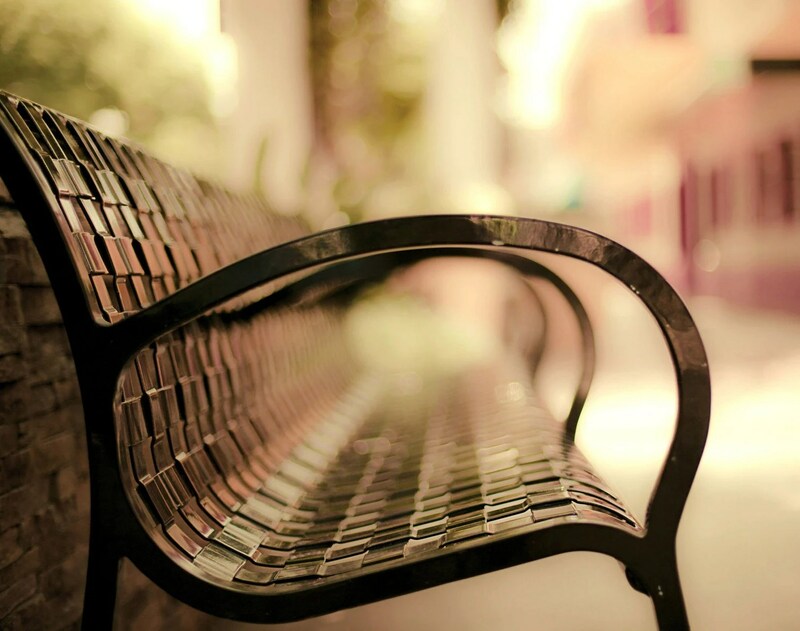 To Pluck Down Justice From Your Awful Bench, by Raceytay. 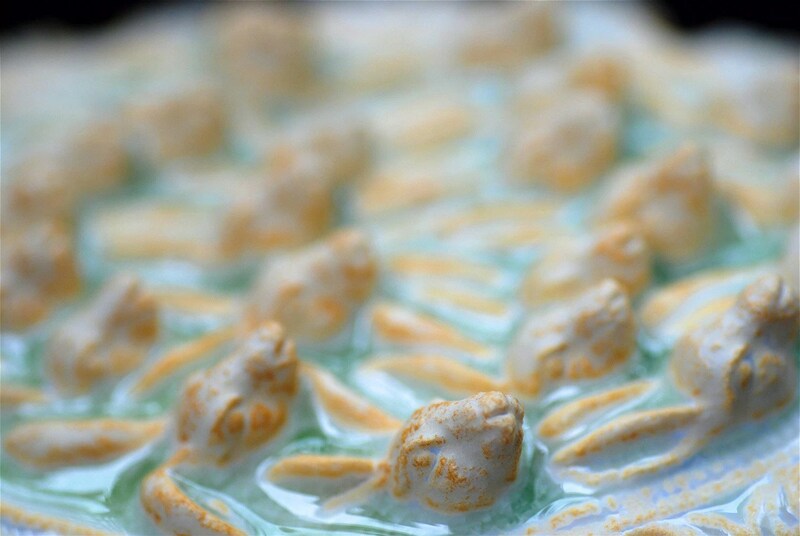 White We’re All In This Together wall decor, by Poodlebreath. 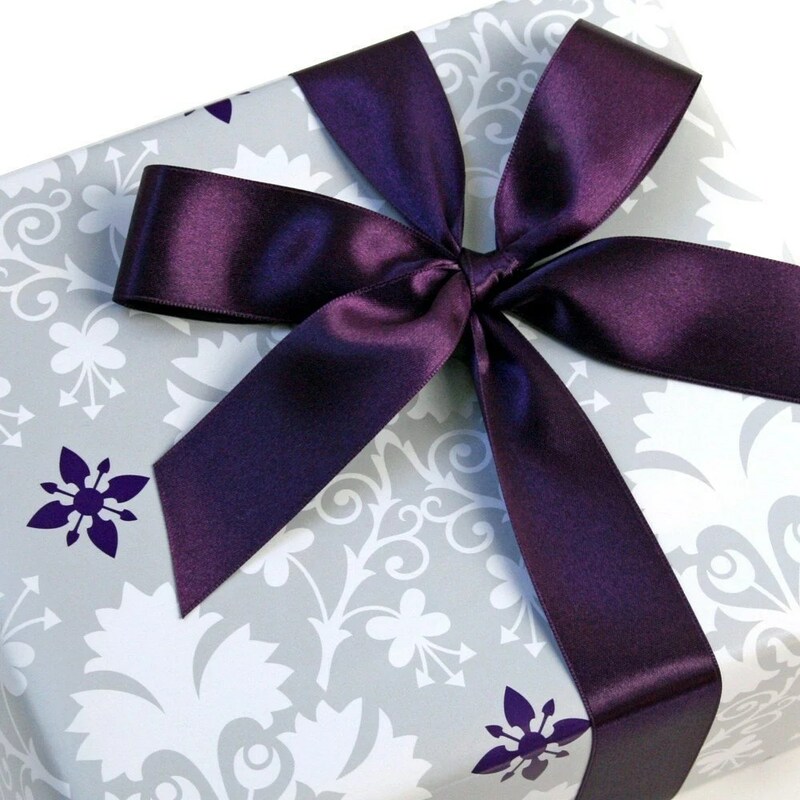 here are some suggestions for wrapping your gifts pretty this season! 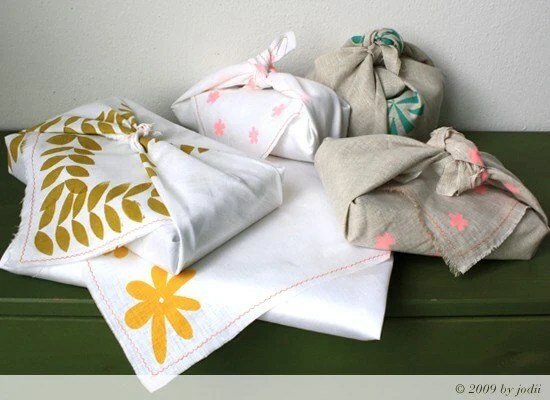 Go see my post from 2007 on Gift Wrap for some eco-friendly suggestions that won’t cost you much! 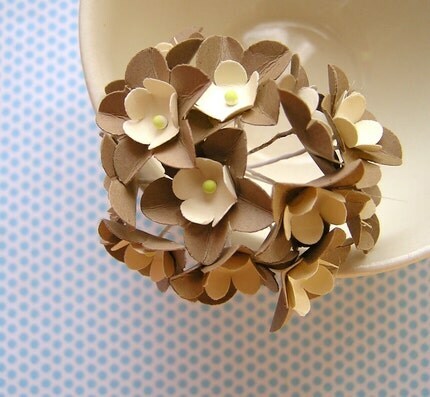 Mini paper wraps, by Kamal. 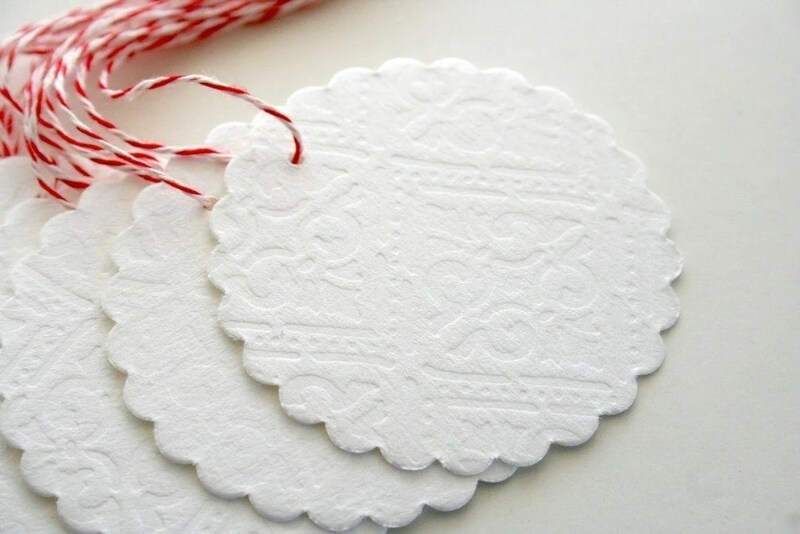 Lacey letterpress gift tags, by SarahParrott825. 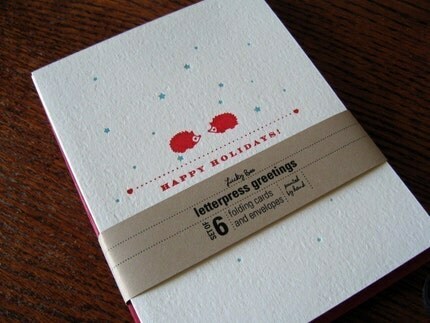 Letterpress Holiday hedgehogs note set, by LuckyBeePress. 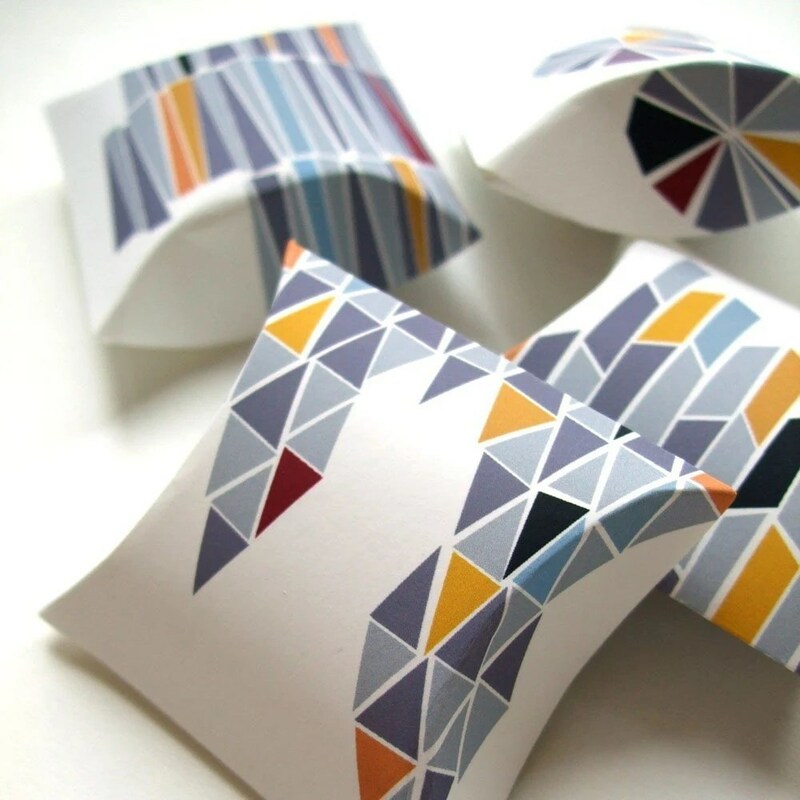 Mosaic pillow boxes, by FieldAndSea. 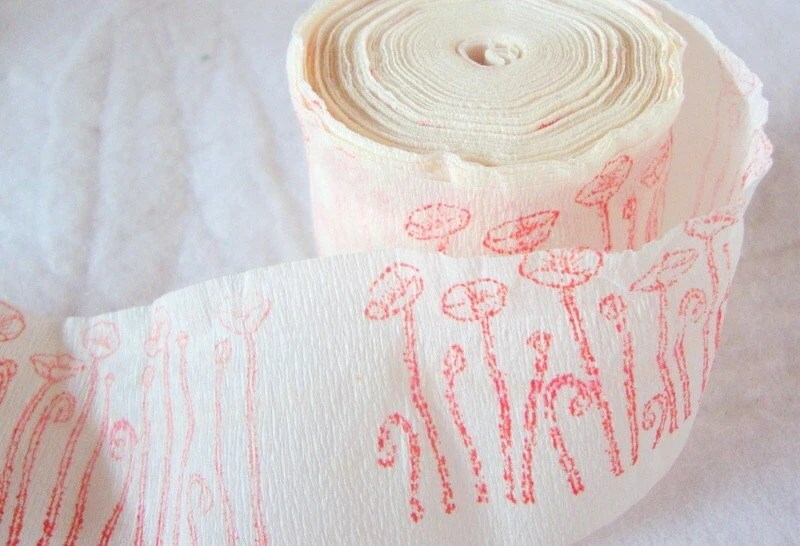 Hand-stamped poppies on vintage crepe paper, by TackledAndShackled. 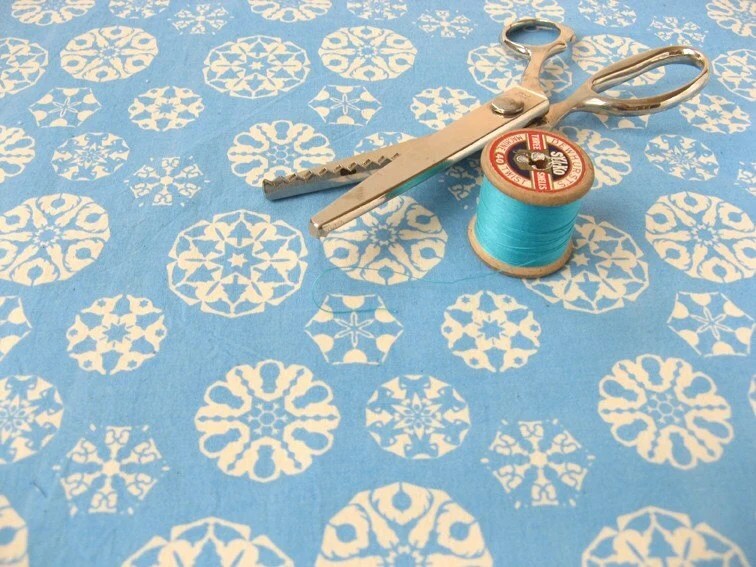 Snowflake screenpritned fabric, by ShowPony. 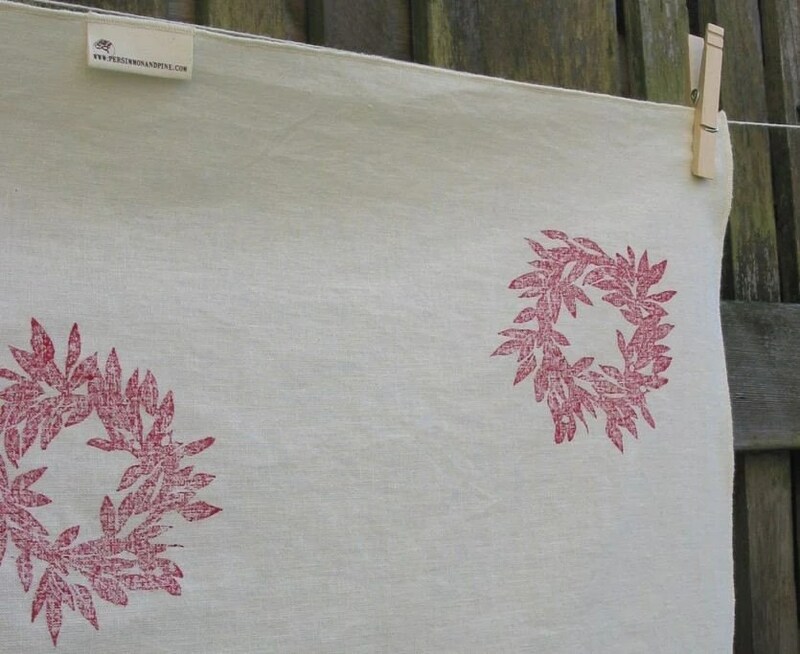 Gift wrap sheet (50% recycled fibers (25% PCW) and soy-based inks), by ErinRuth. 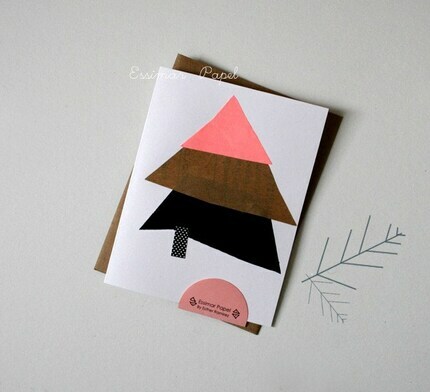 Pine tree card, by Essimar. 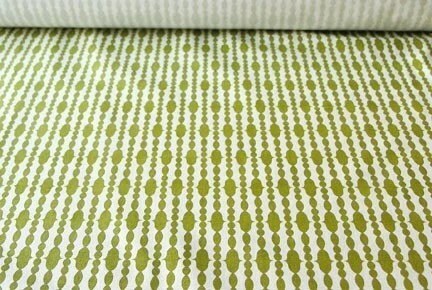 RaiDrop Split Pea screenprinted fabric, by SwankySwell. 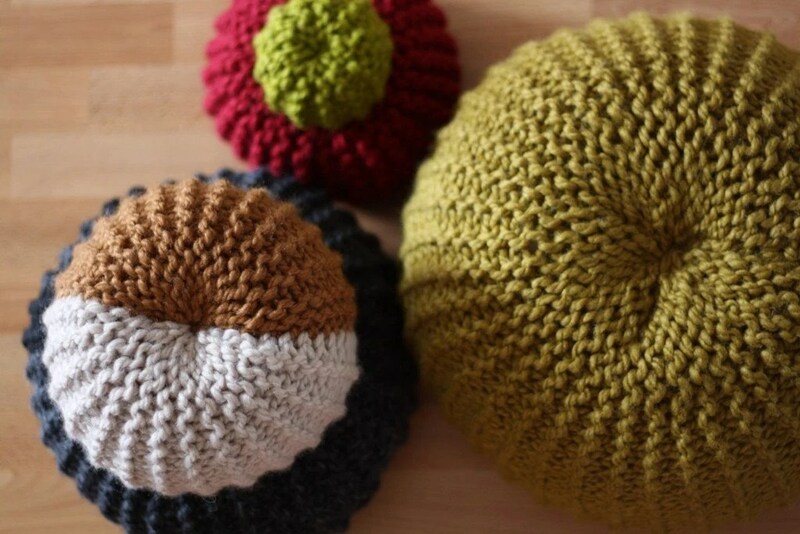 here are some suggestions for the crafty gals and guys who wanna do it all themselves! 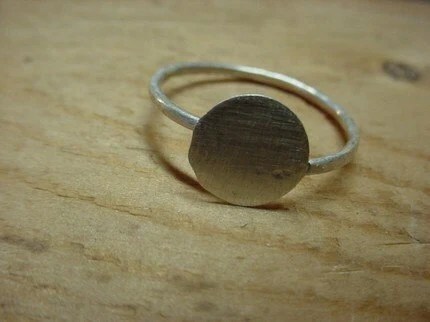 Also, go see last year’s DIY Lover selection! 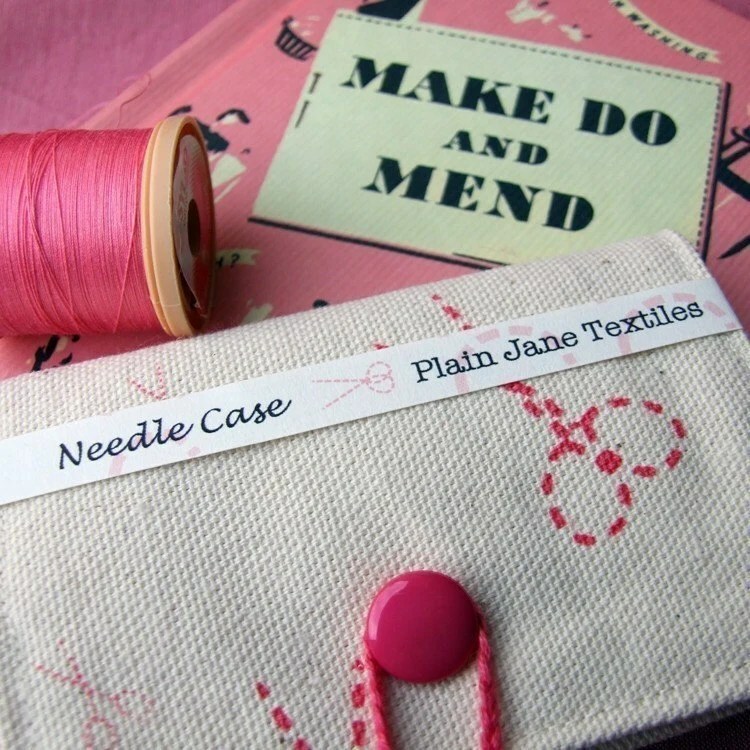 Handprinted Needle Case, by Plainjanetextiles. 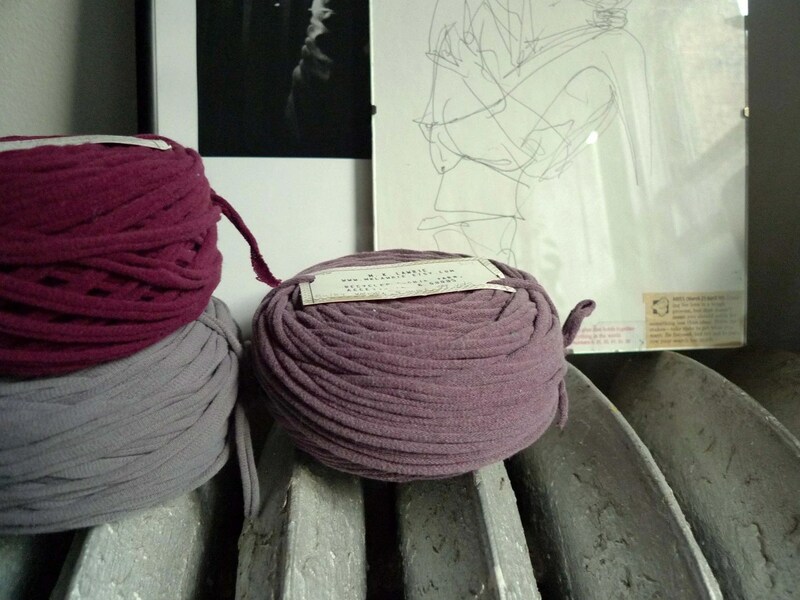 Recycled T-Shirt Yarns, by Mklawrie. 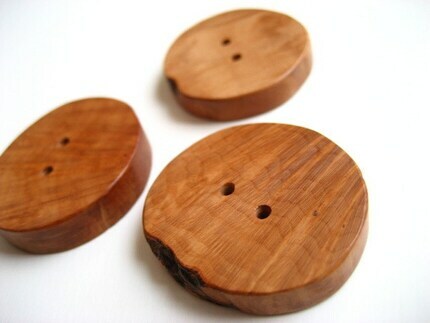 Handmade Ring Blank, by PointyPaws. 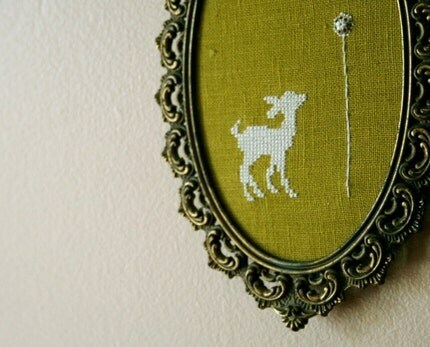 Handcrafted Knitting Needles, by Baahurrah. 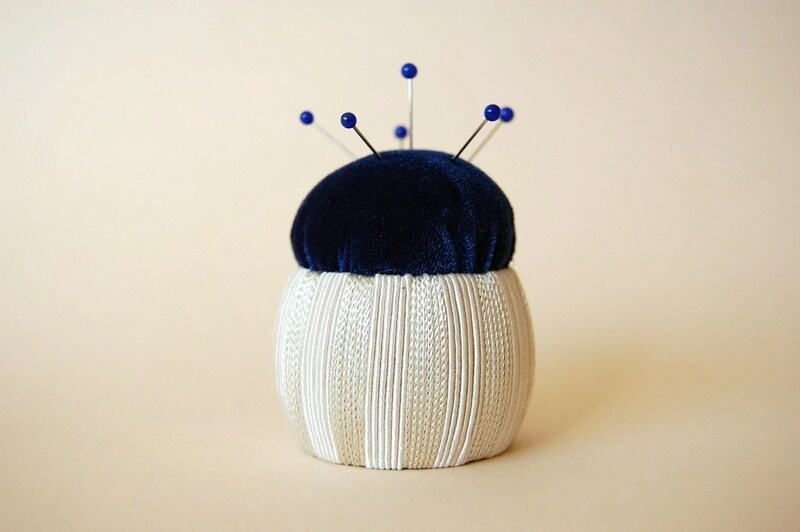 Handmade Urchin Pincushion, by Nadelwerk. 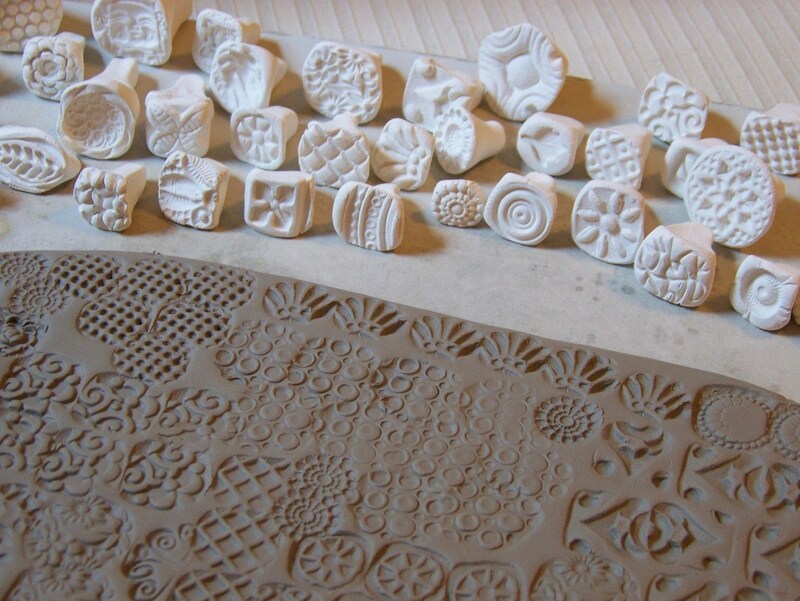 Handmade Polymer Clay Stamps, by Charityelise. 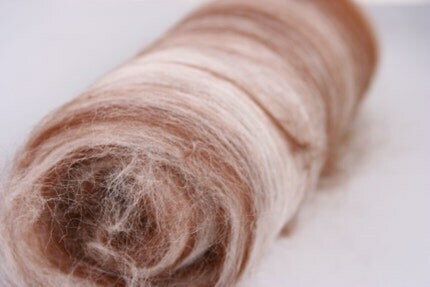 Natural Alpaca Roving, by Vampy. 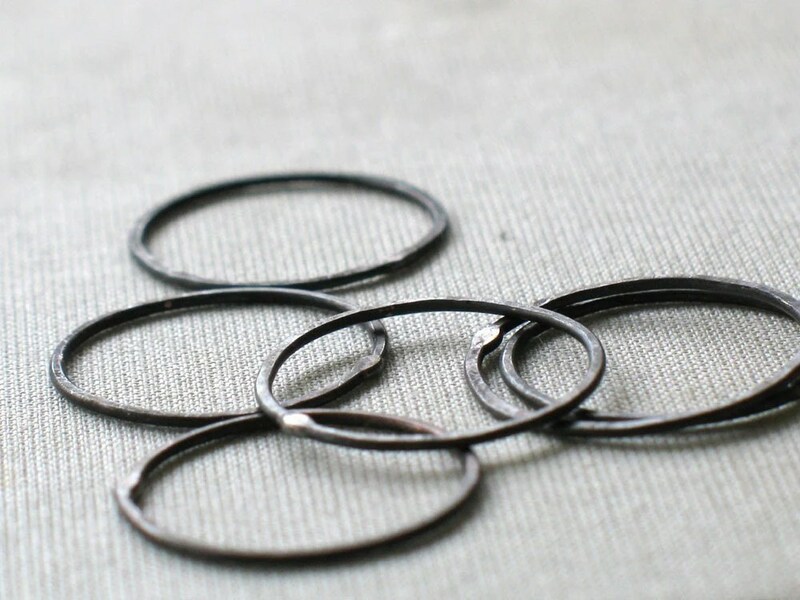 Large Oxidized Copper Circles, by Metamorph. 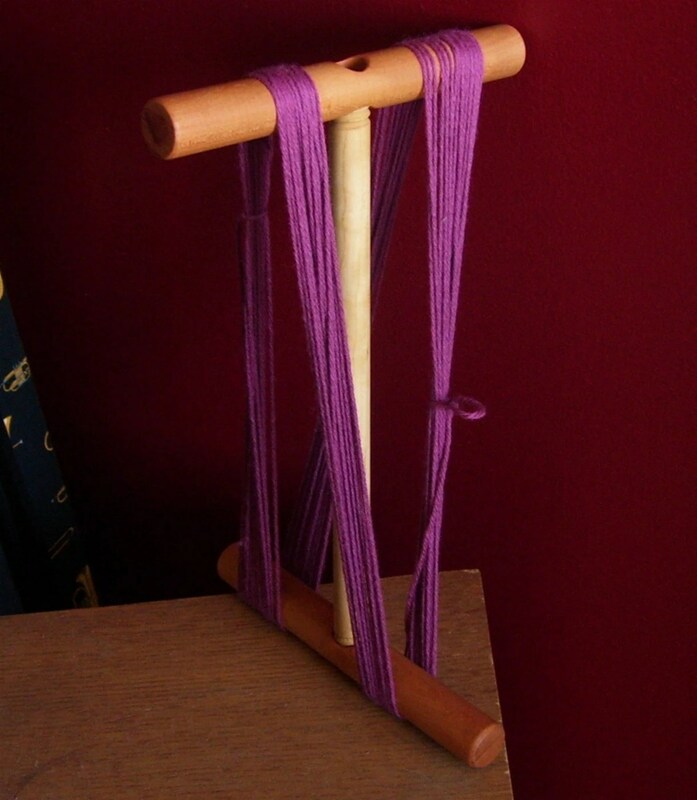 Handmade Cherry Niddy Noddy, by TheSpinnersEmporium. 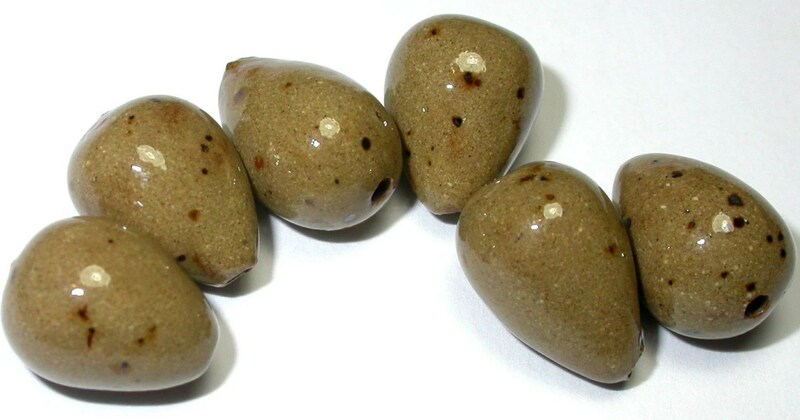 Egg Stoneware Beads, by NKPbeads. 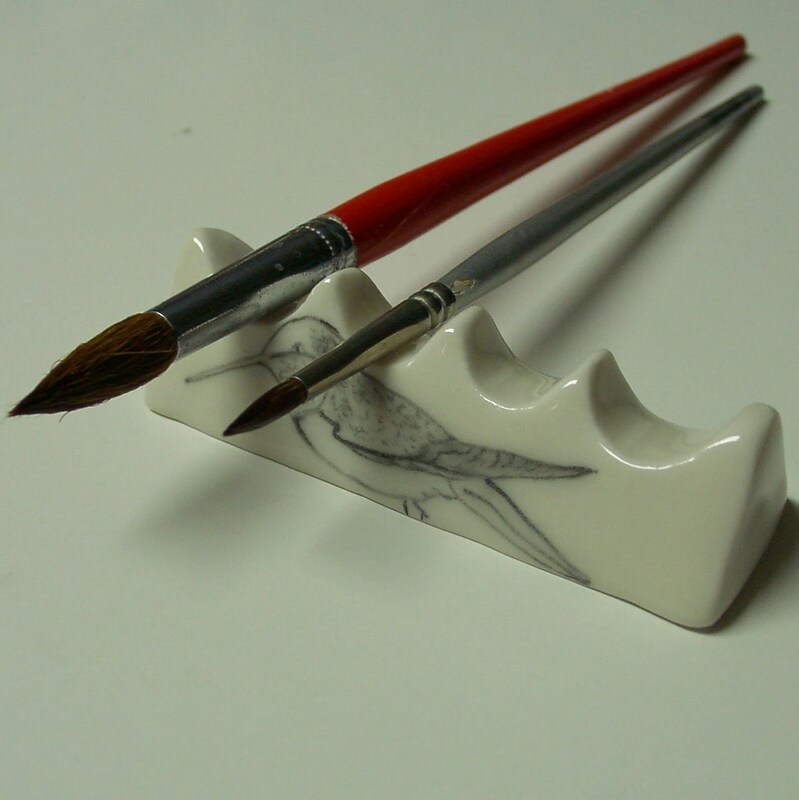 Porcelain Brush Rest, by Sumiko.